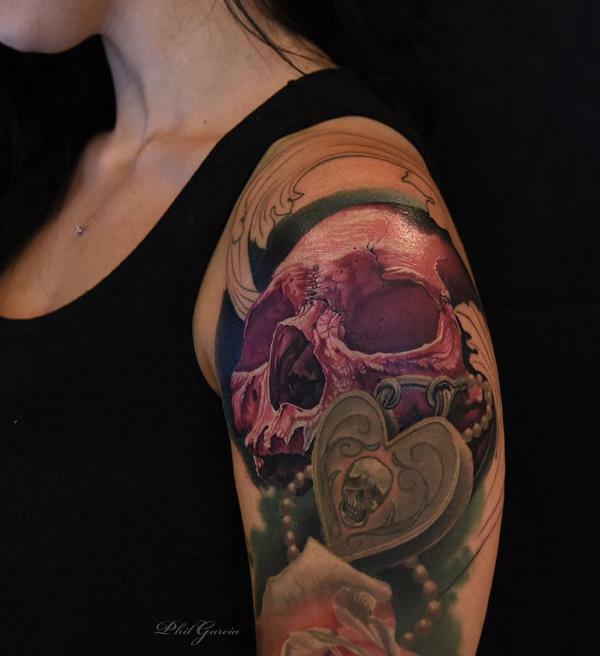 Skull tattoos are loved and practiced for their classic symbolic meanings or their representation of the wicked side of the world. 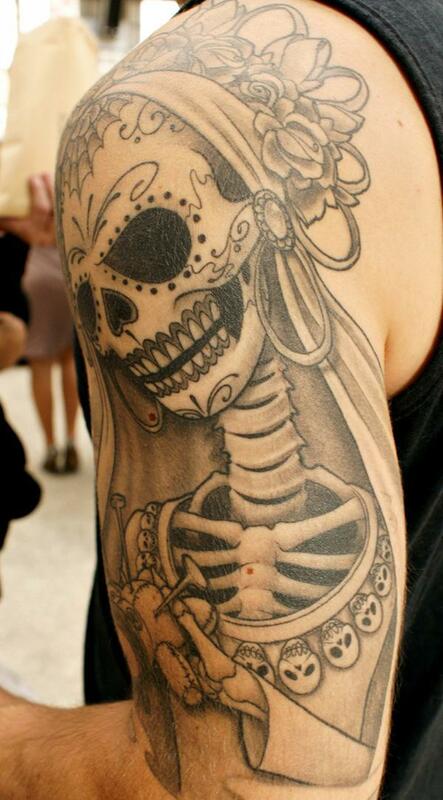 Today, skull has a linkage to fashion industry. 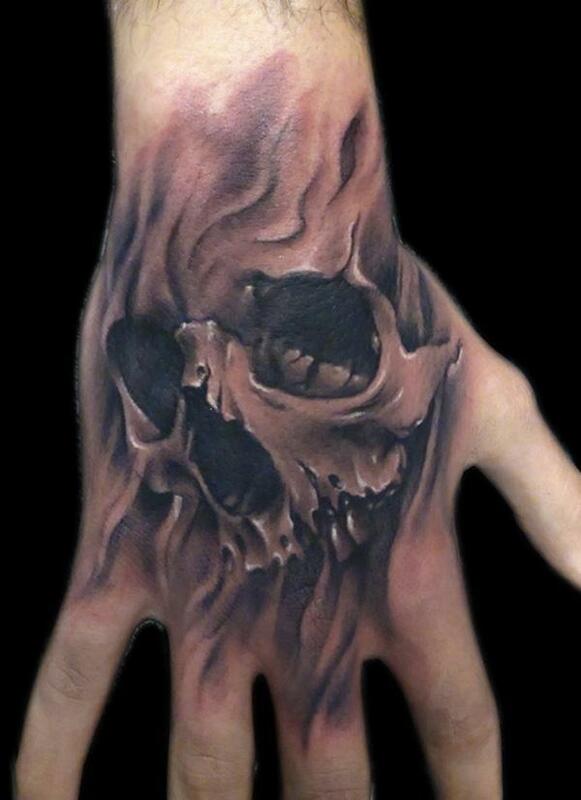 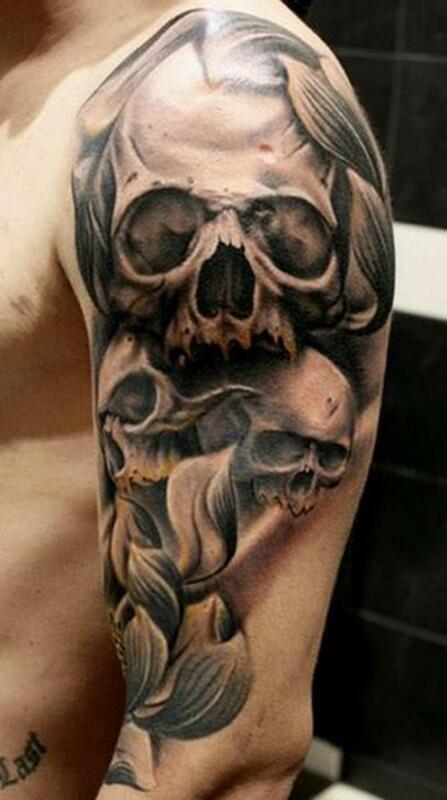 People may love skull tattoos just for it looks cool. 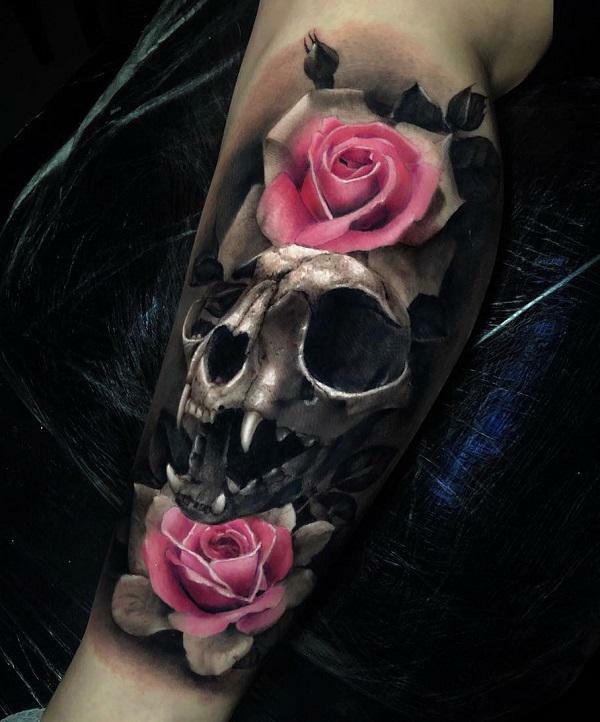 A skull often appears with other objects, representing their integrated meaning, e.g., skull & roses, could mean grateful dead or love and death. 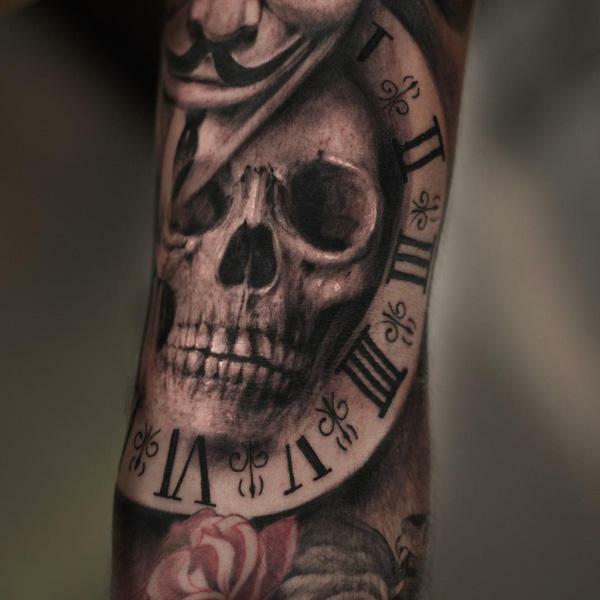 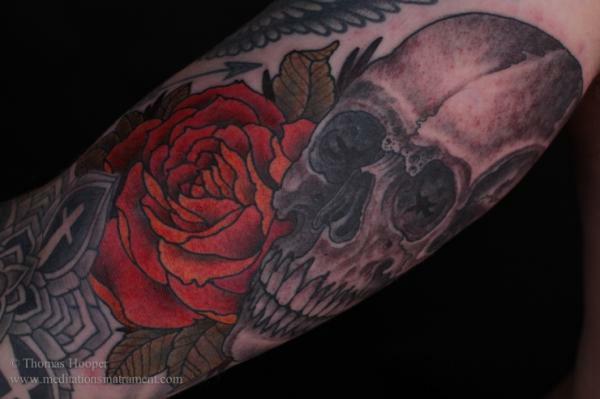 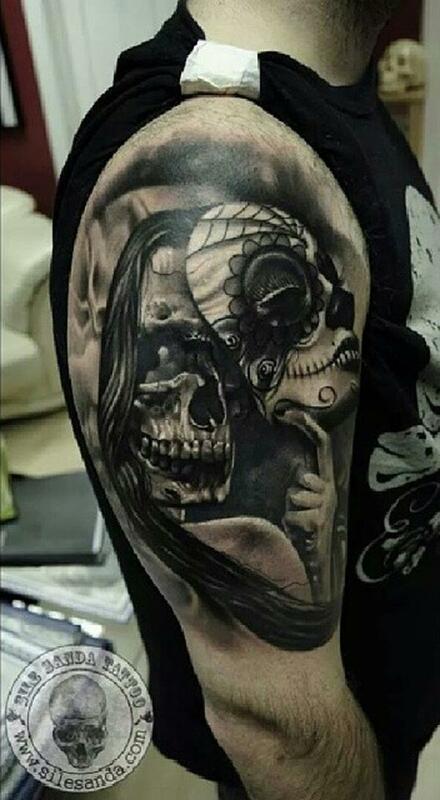 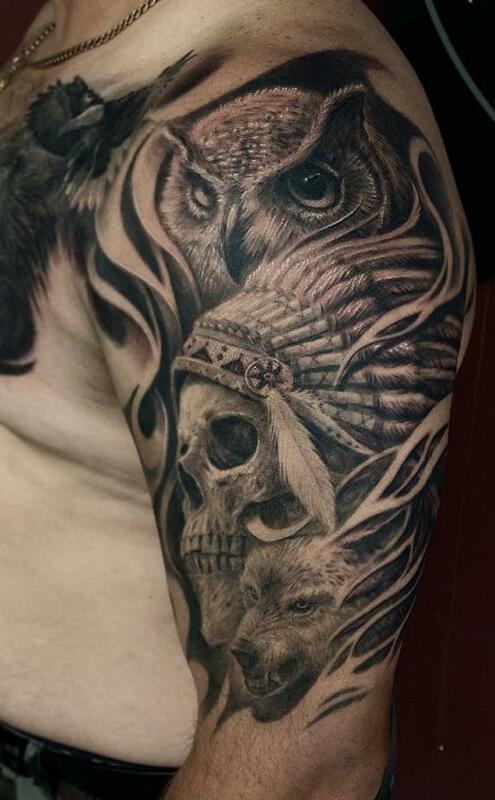 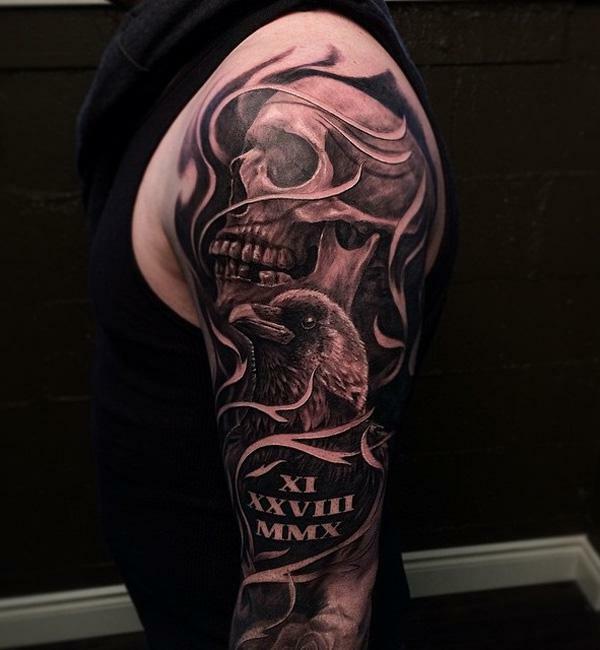 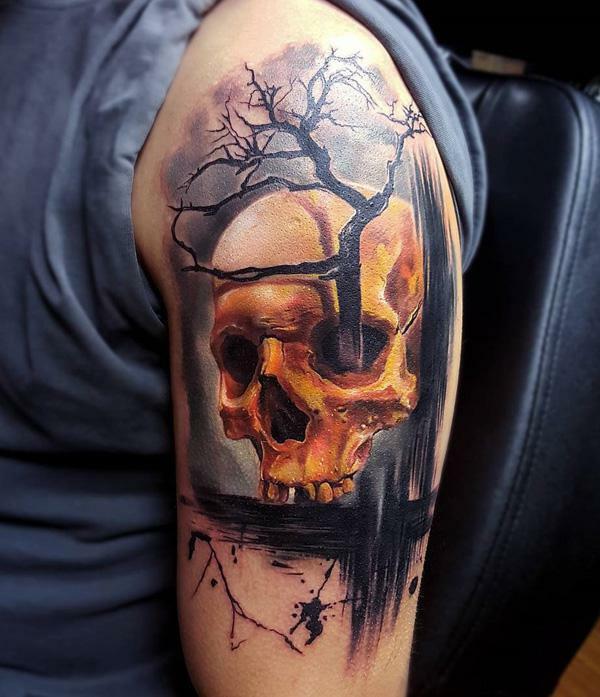 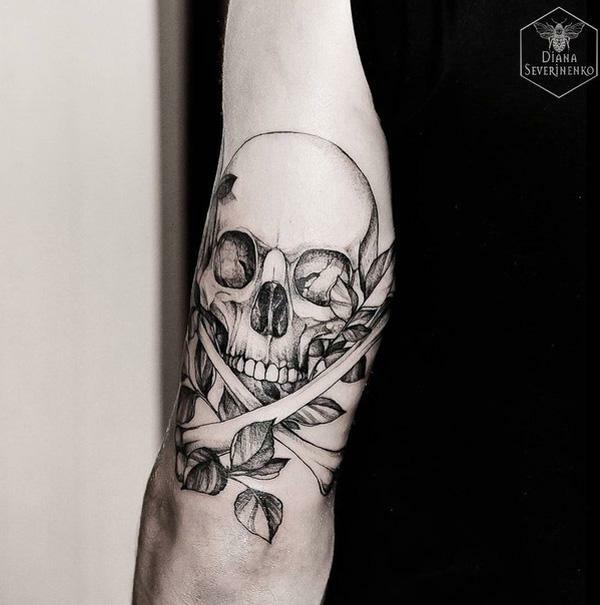 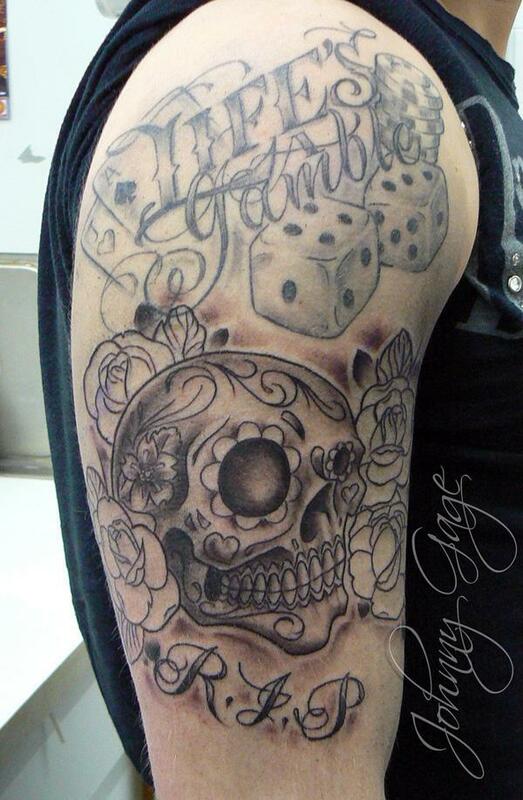 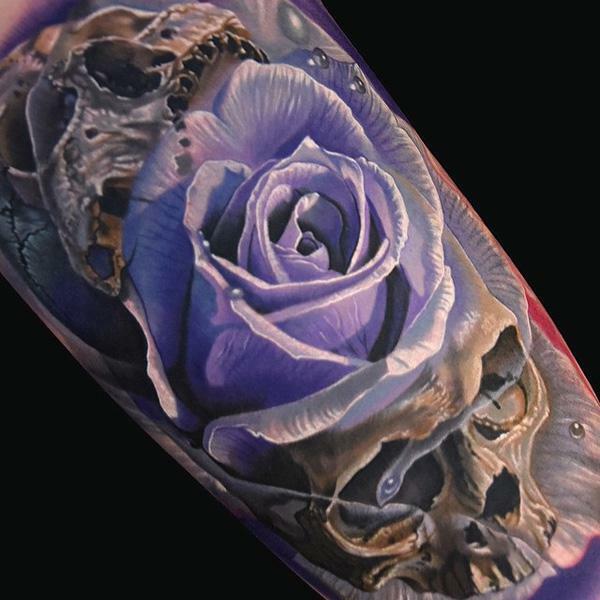 There are a lot of such combinations which could enlighten your skull tattoo ideas when you decide to have a skull tattoo wherever on the arm, back, chest, etc. 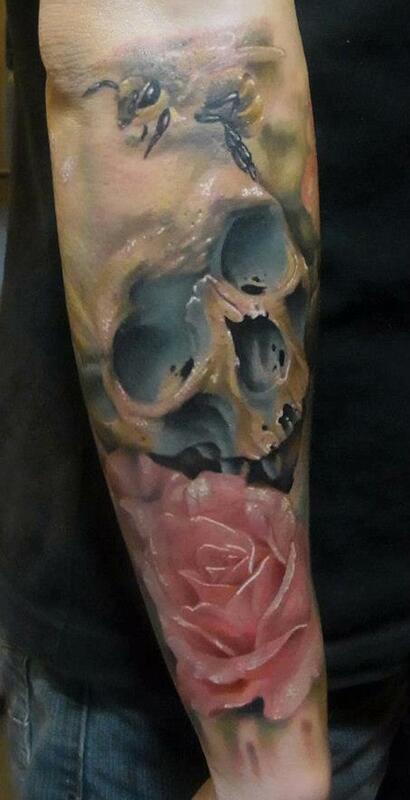 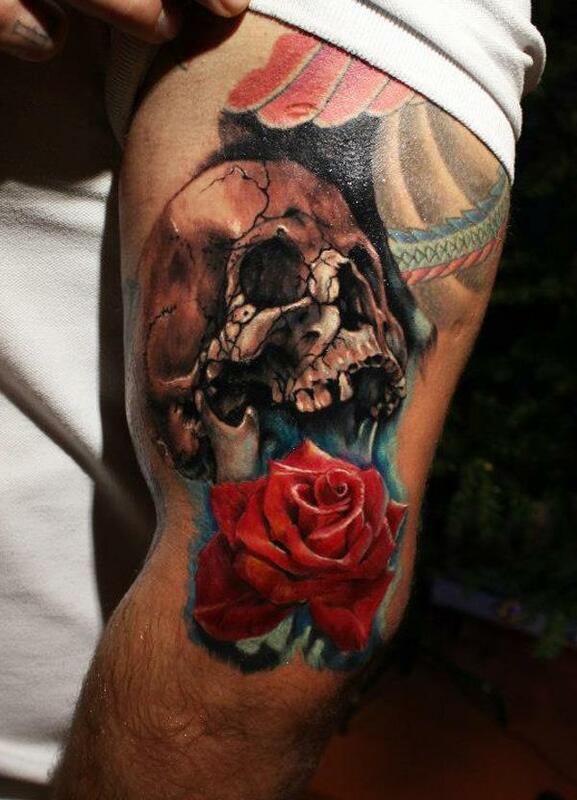 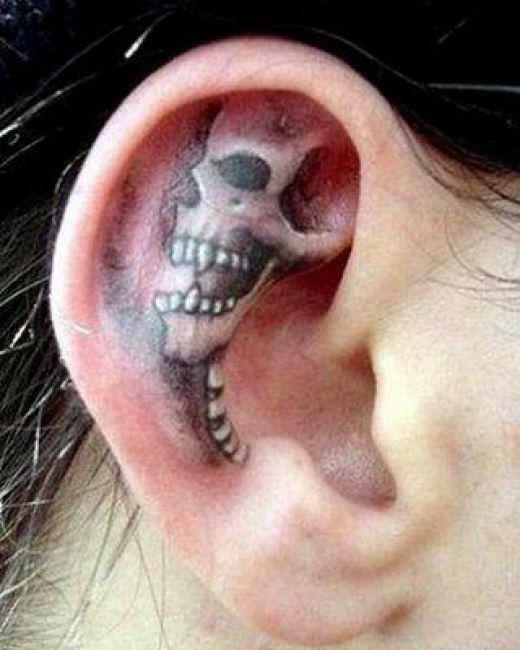 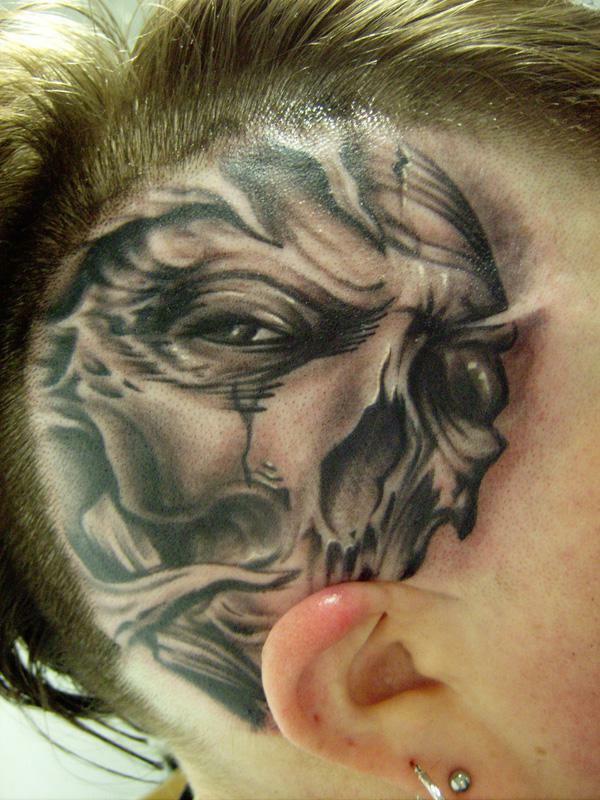 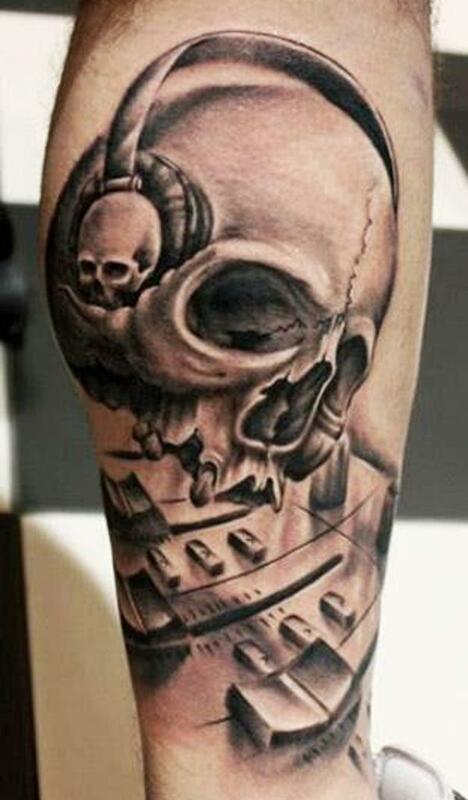 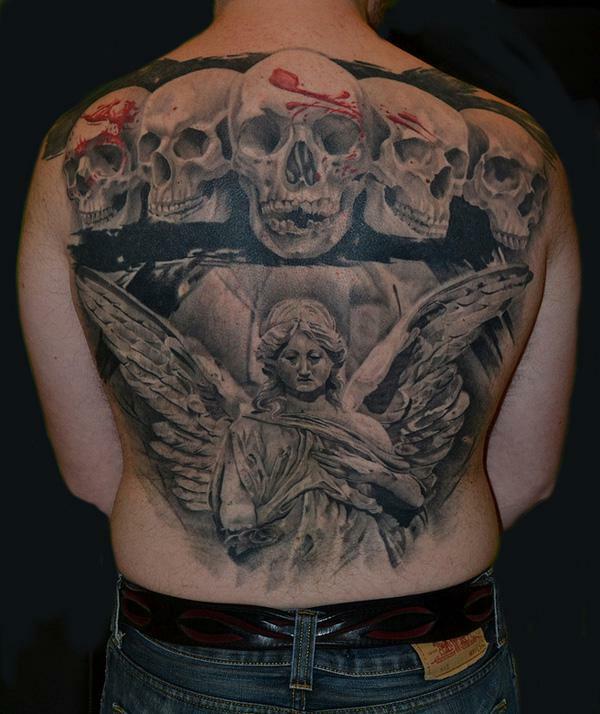 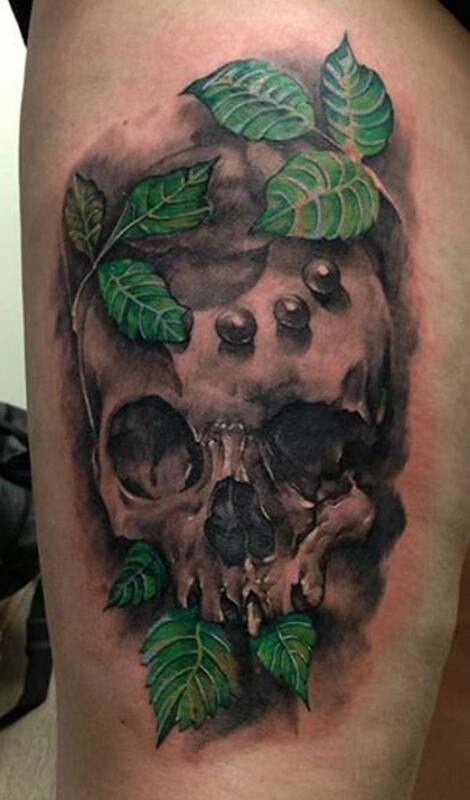 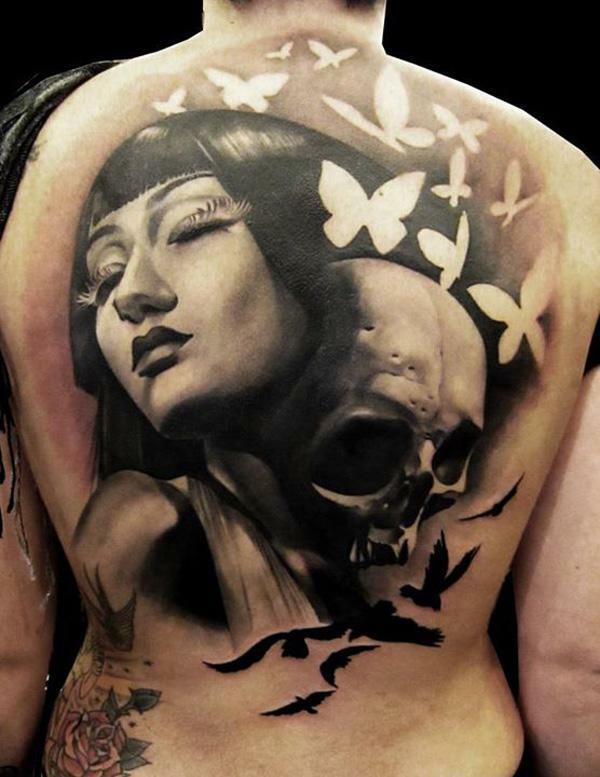 Moreover, it’s important to have your skull tattoo to be created in an artistic manner, esp. 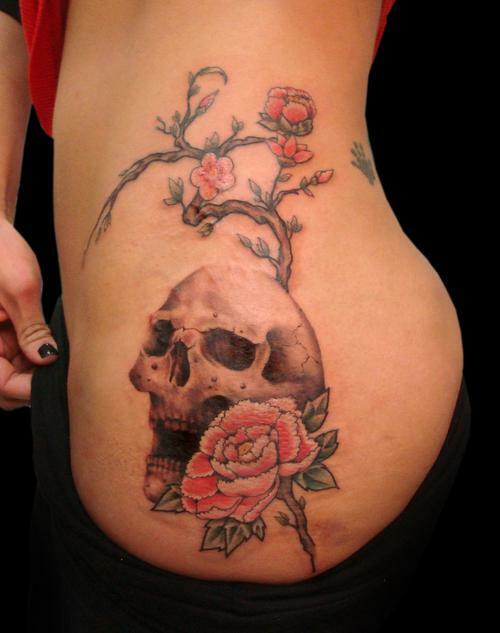 you love it not for these symbolic meanings but just for whimsical fun. 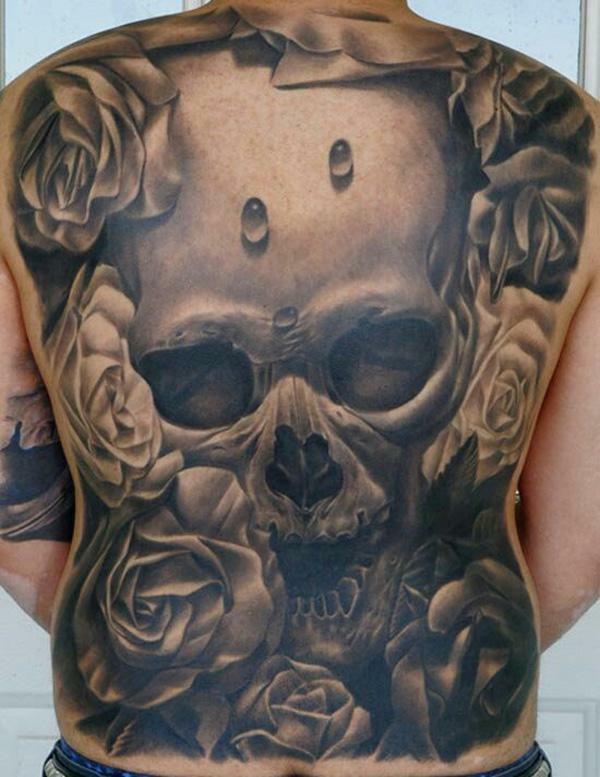 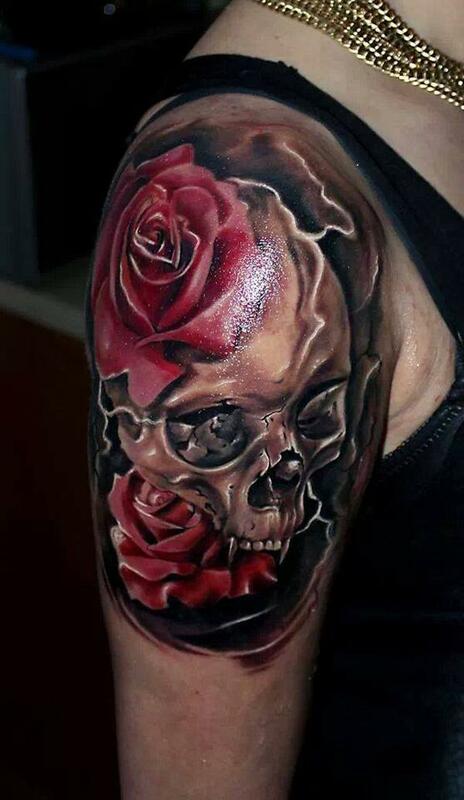 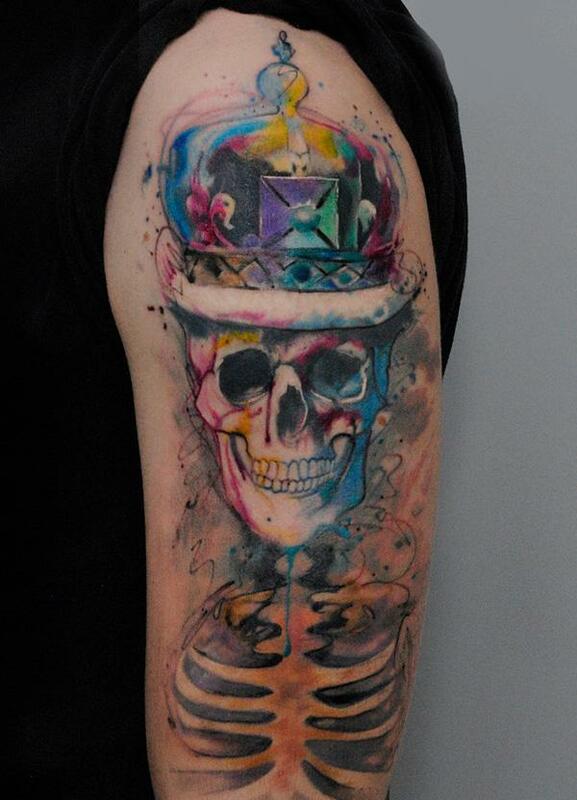 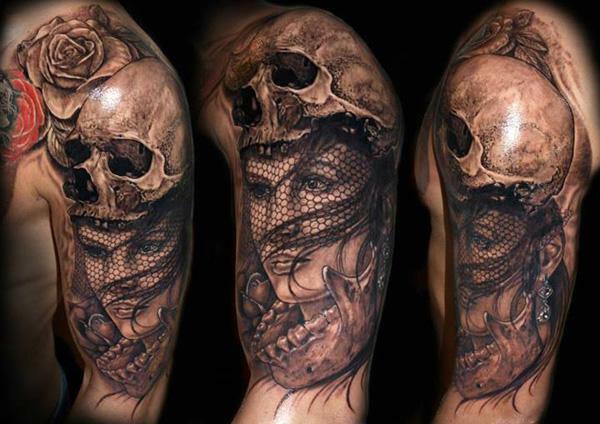 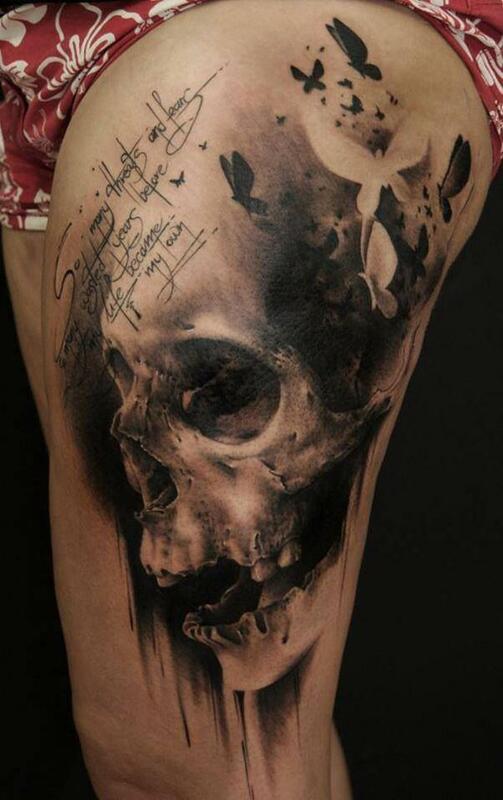 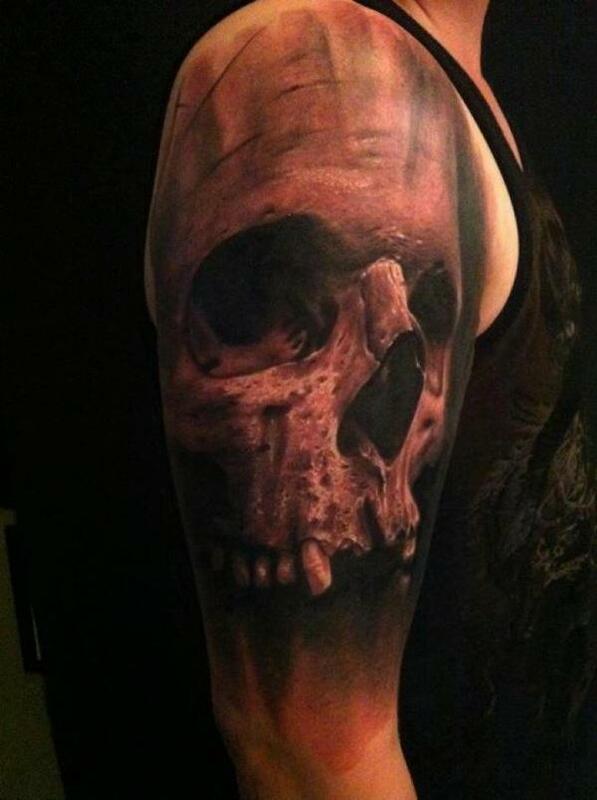 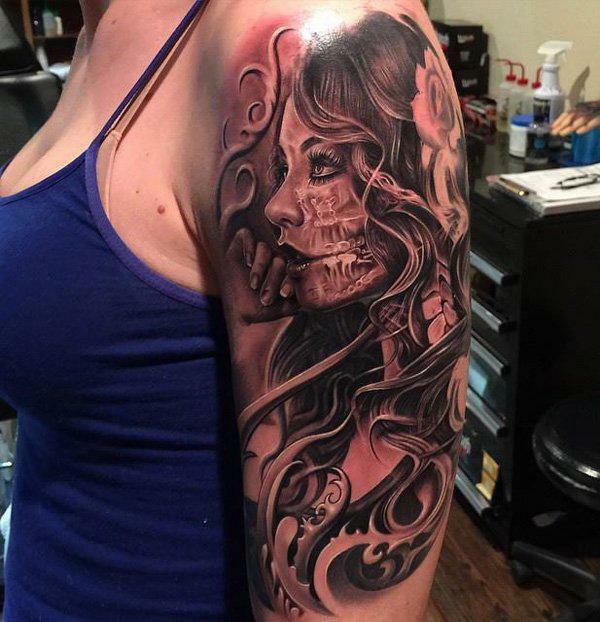 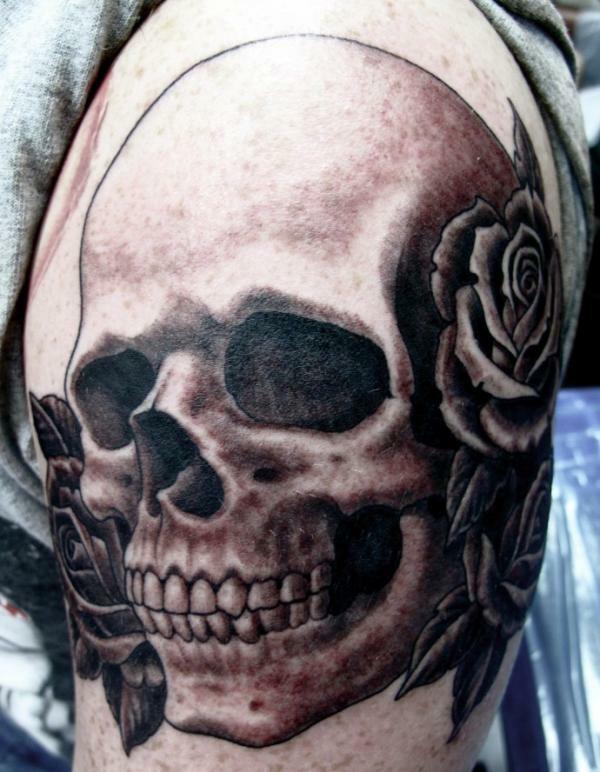 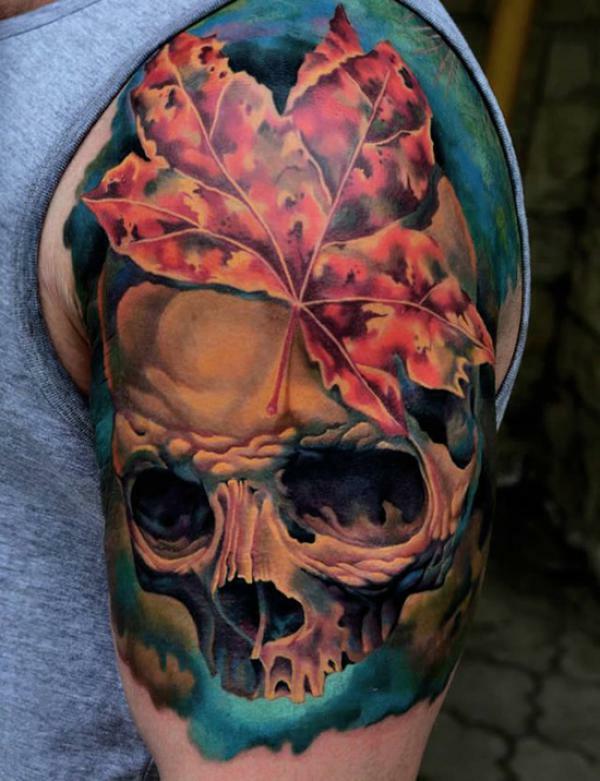 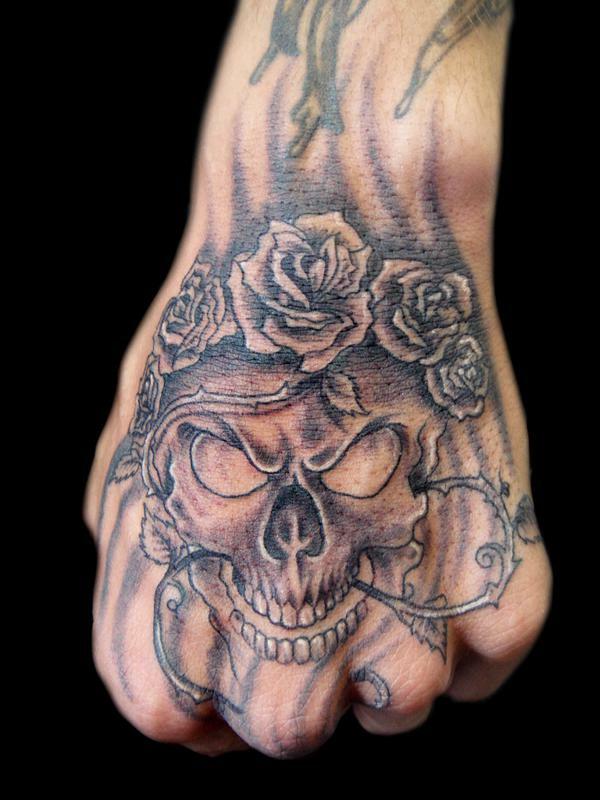 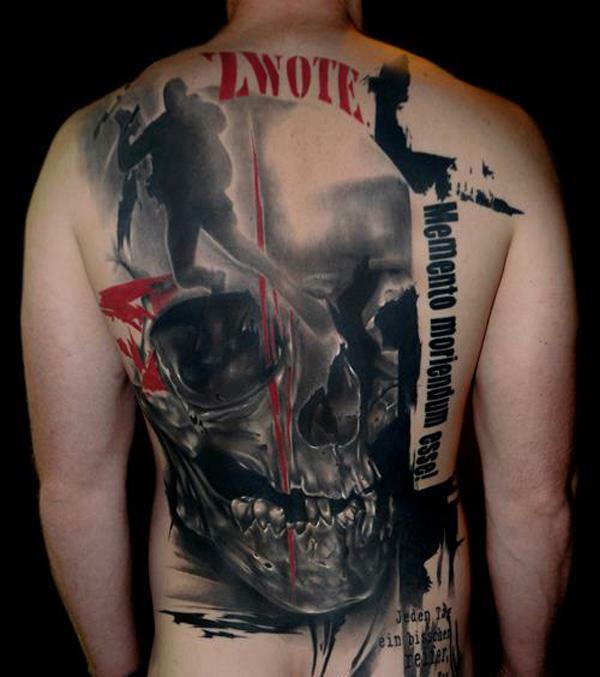 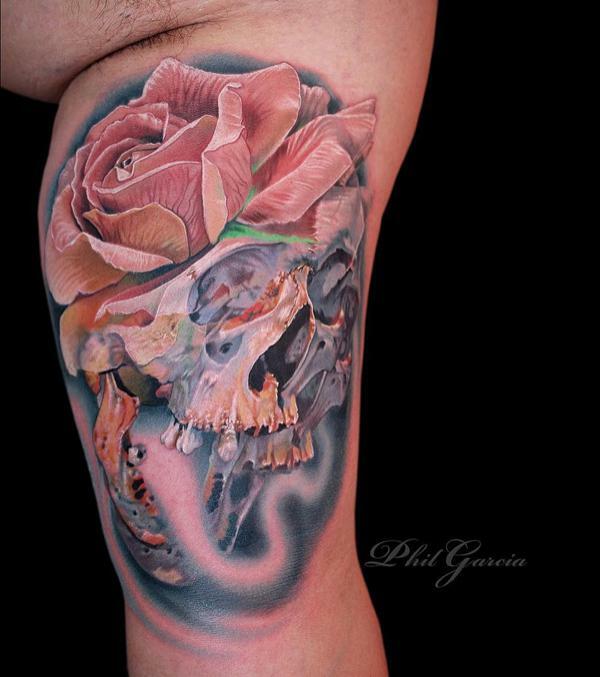 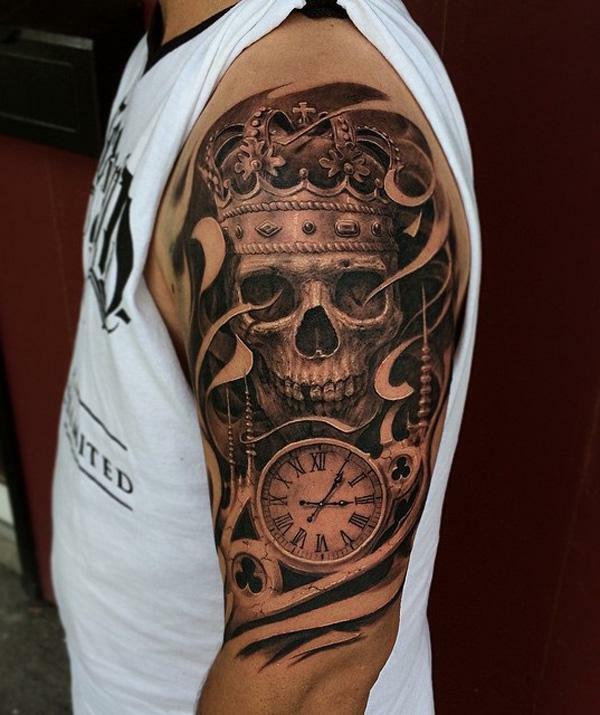 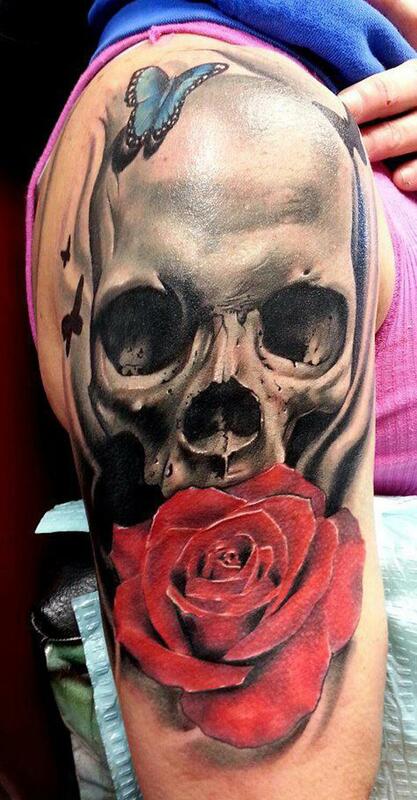 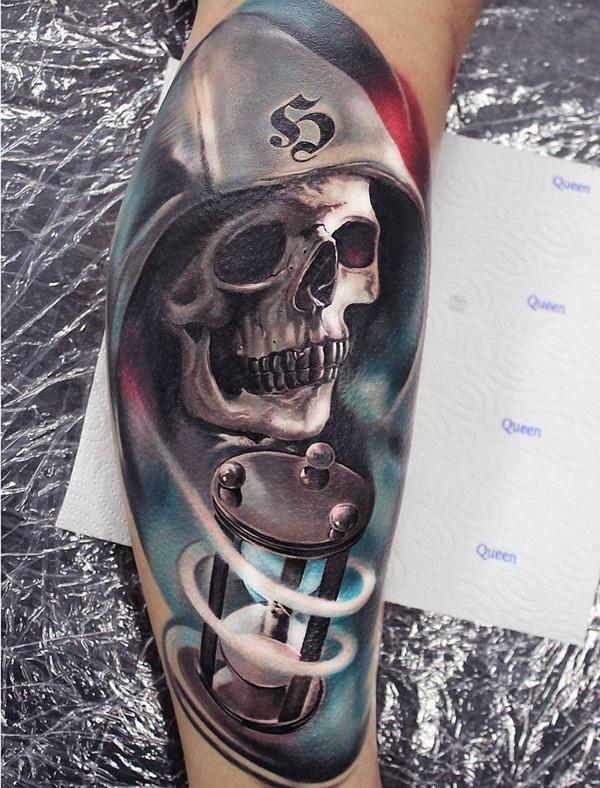 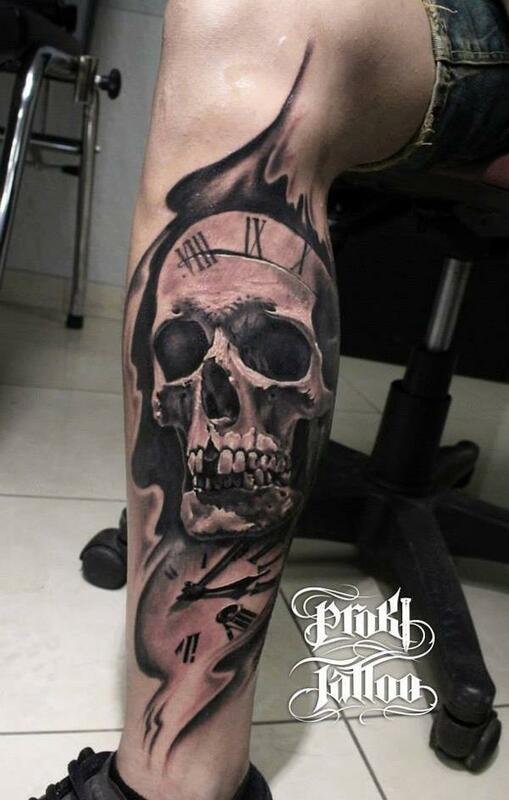 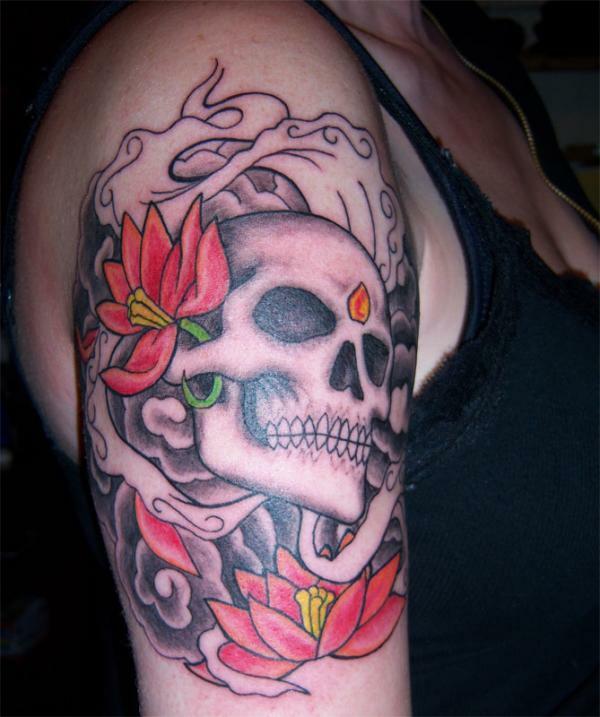 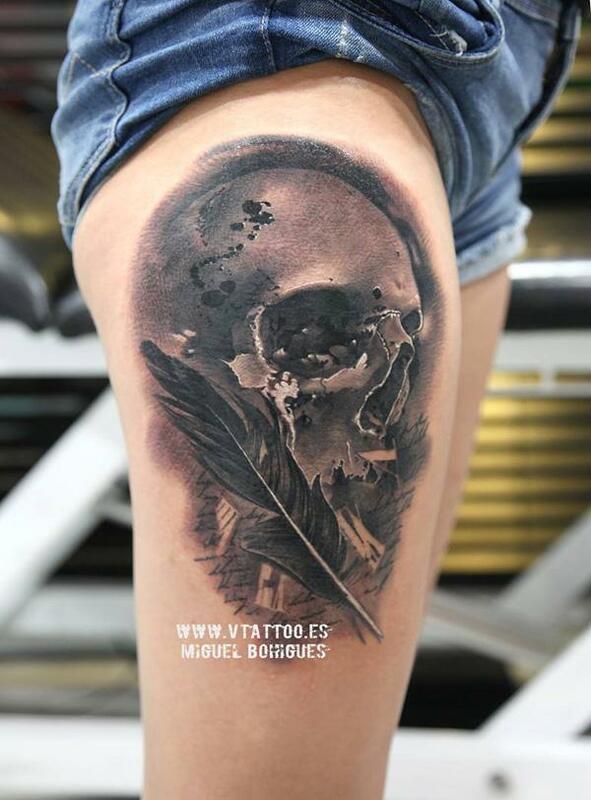 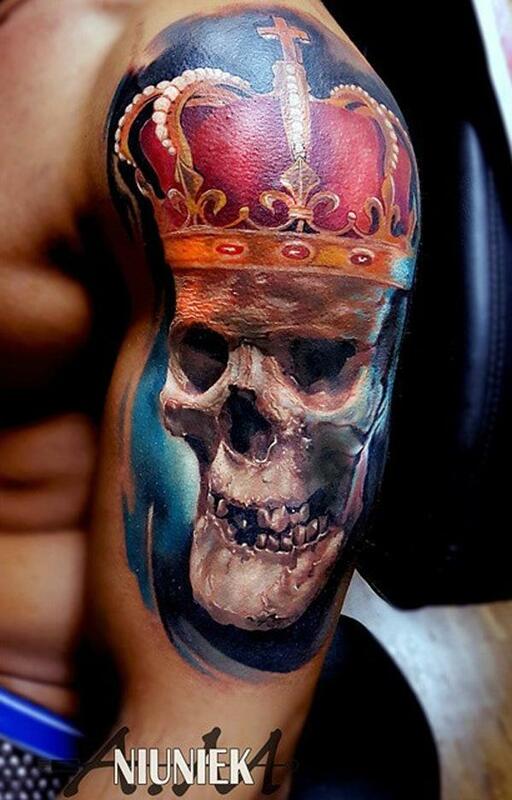 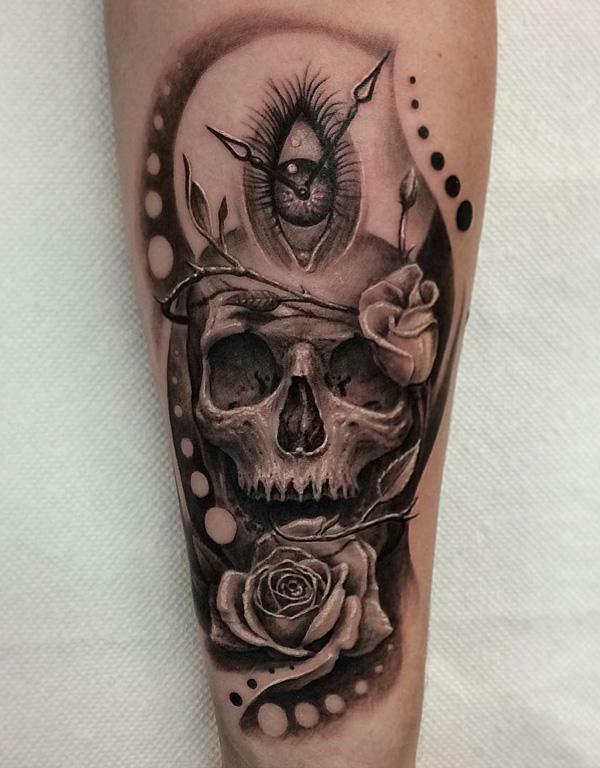 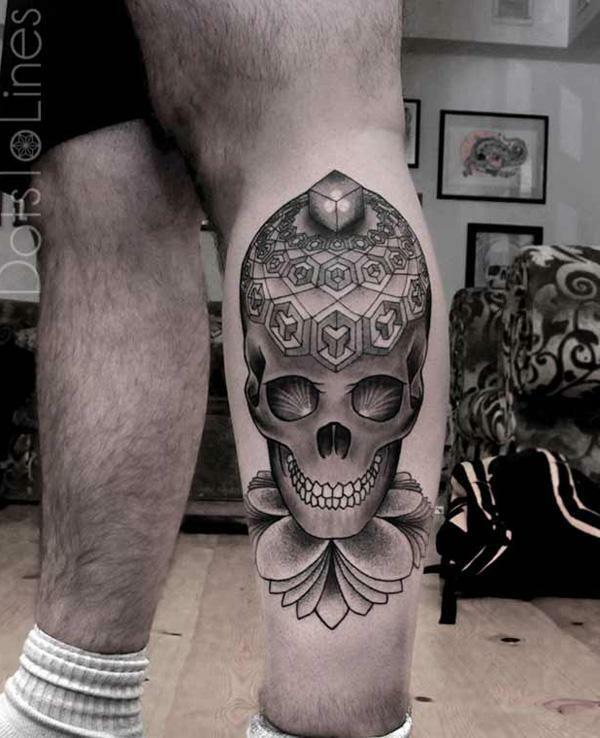 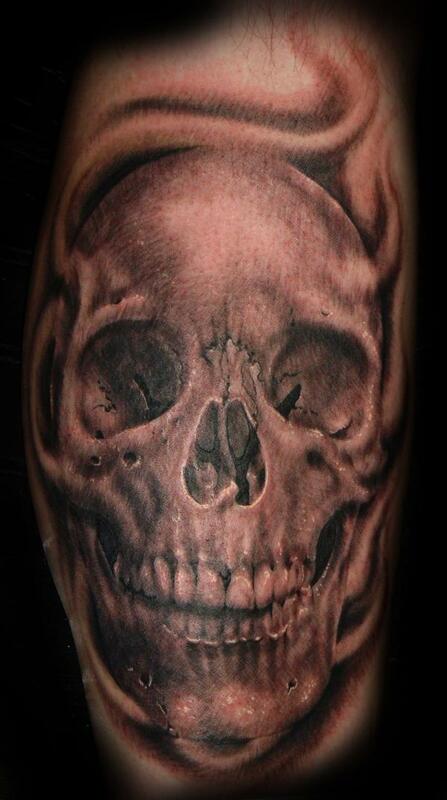 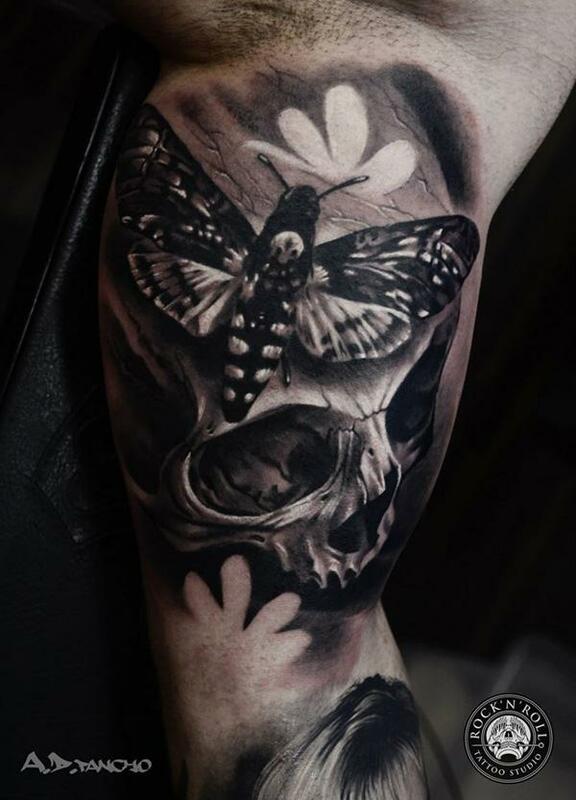 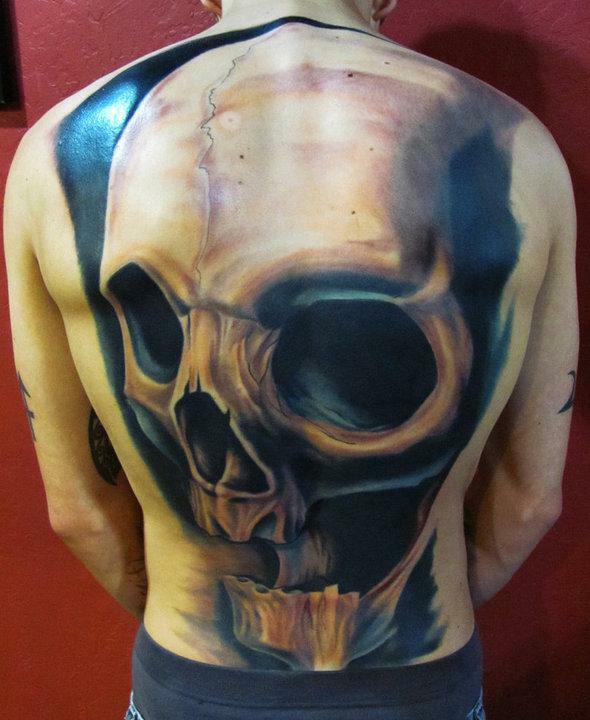 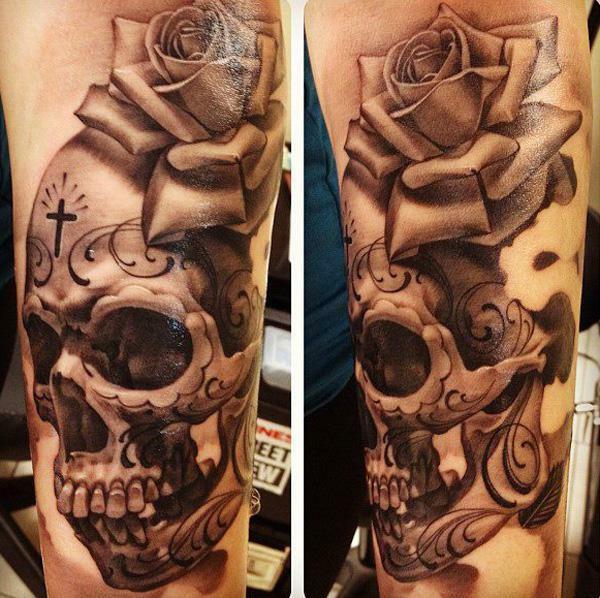 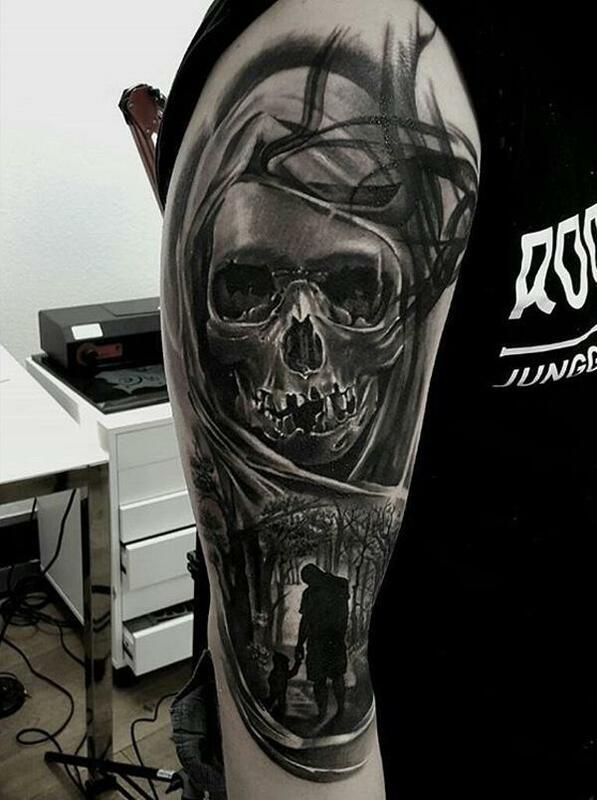 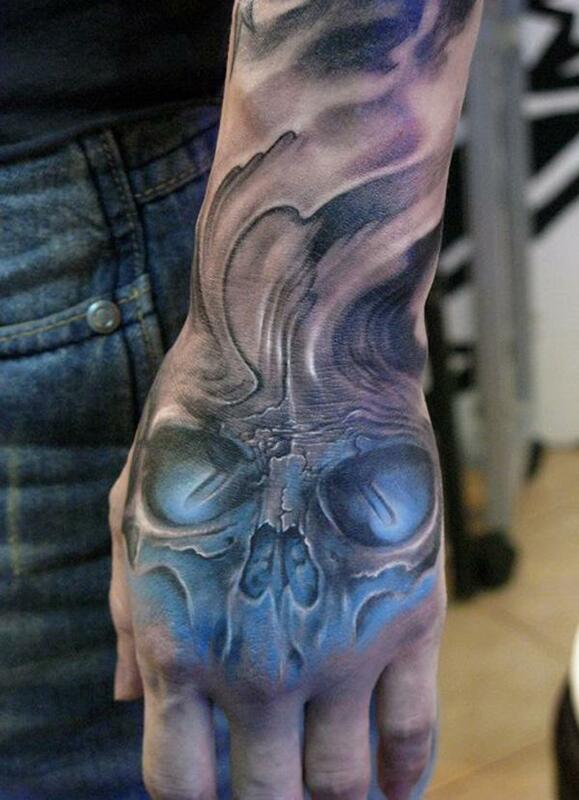 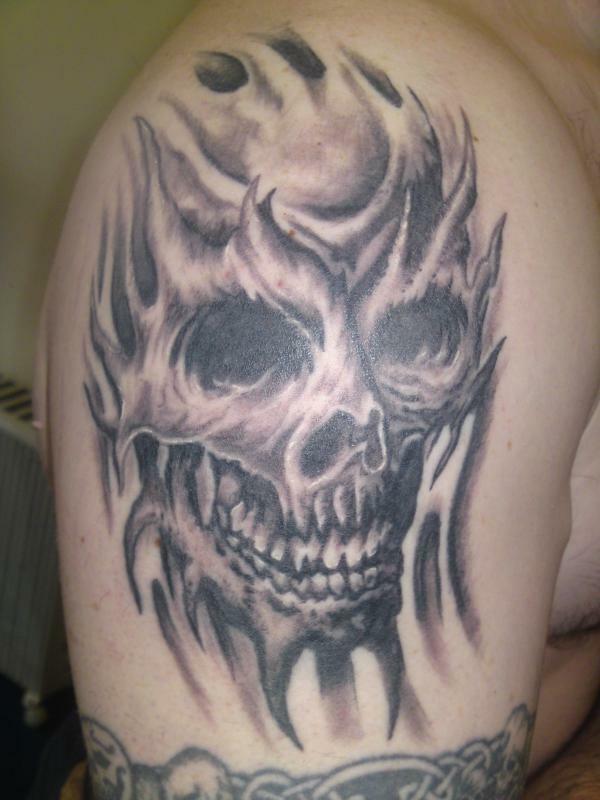 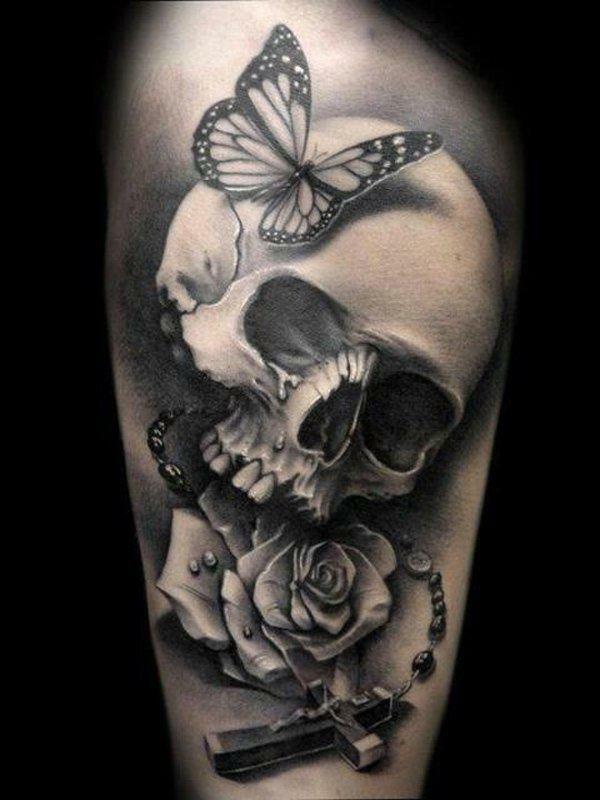 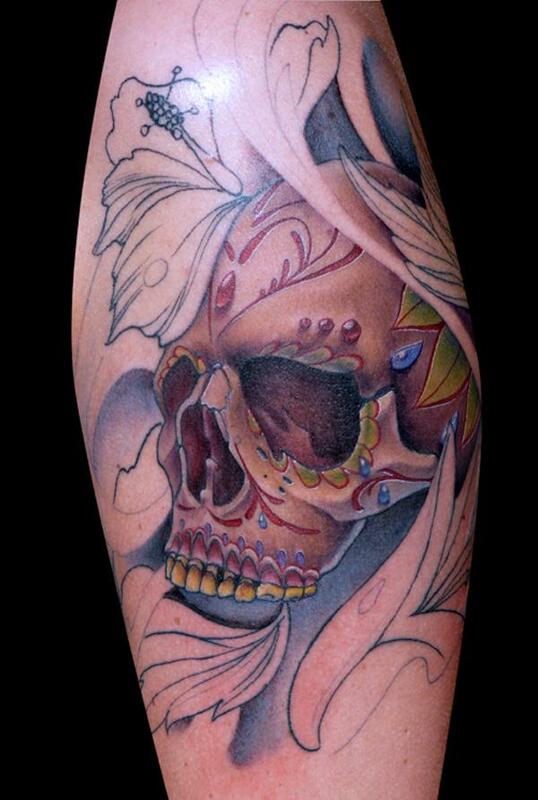 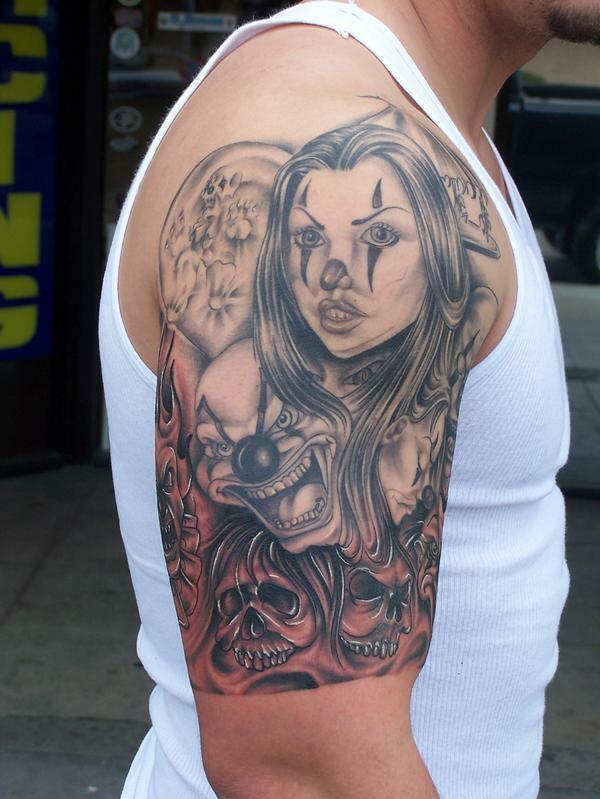 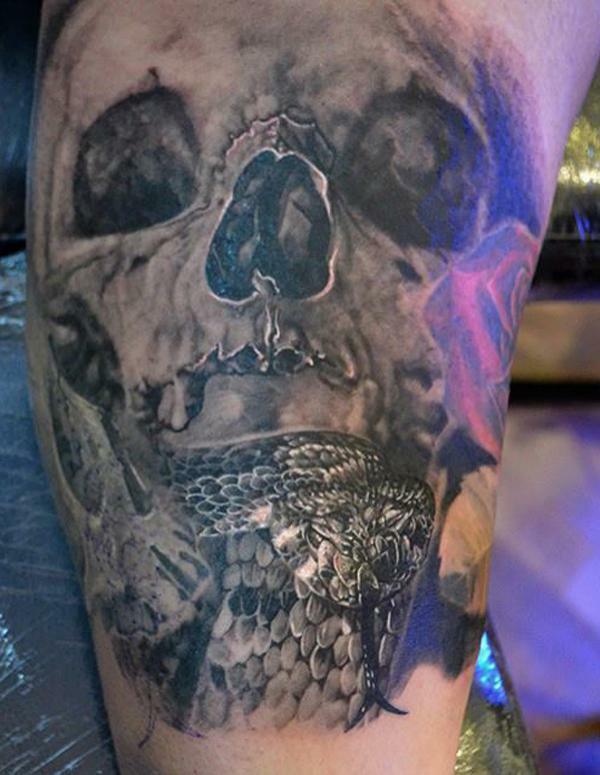 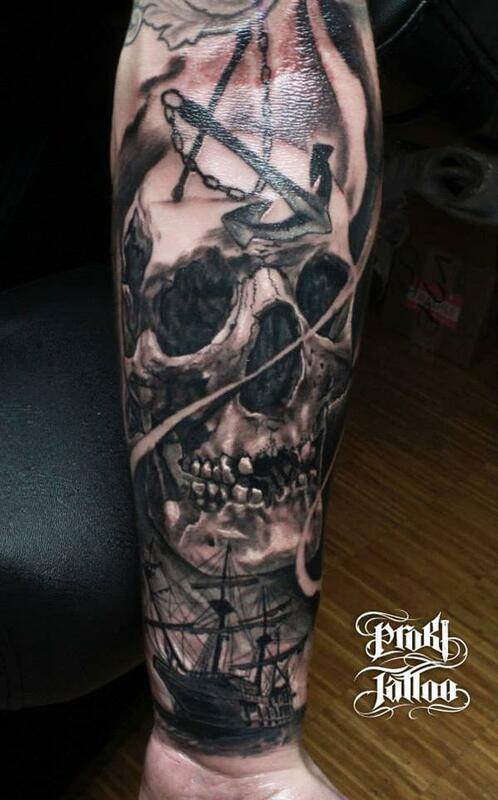 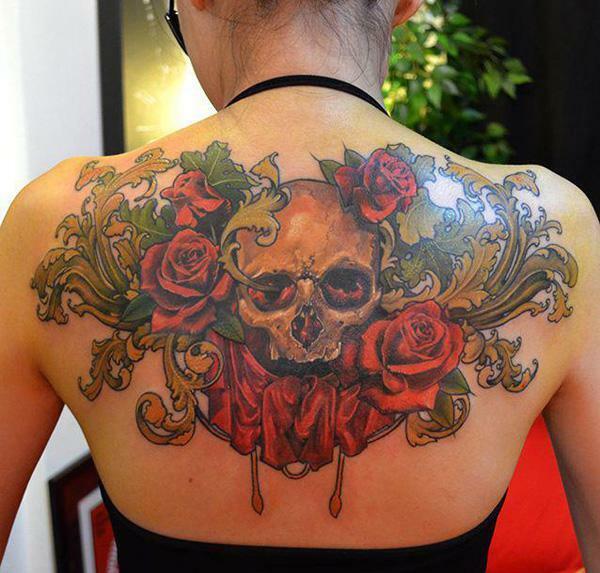 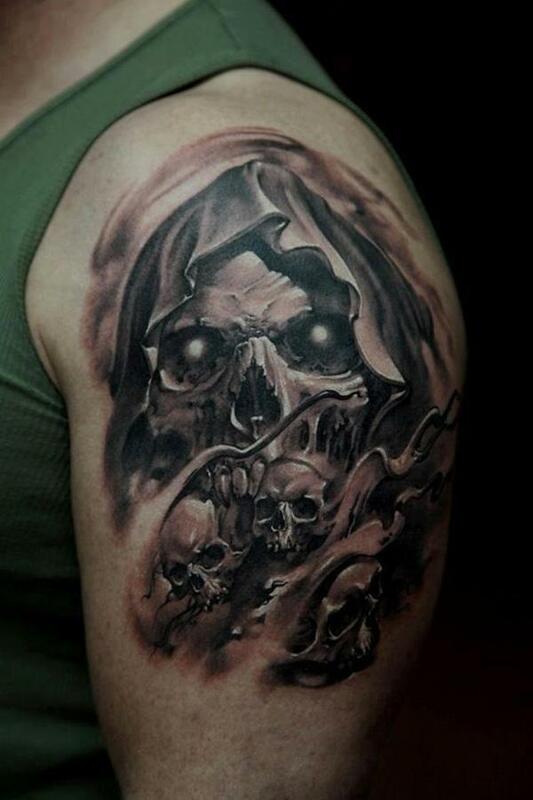 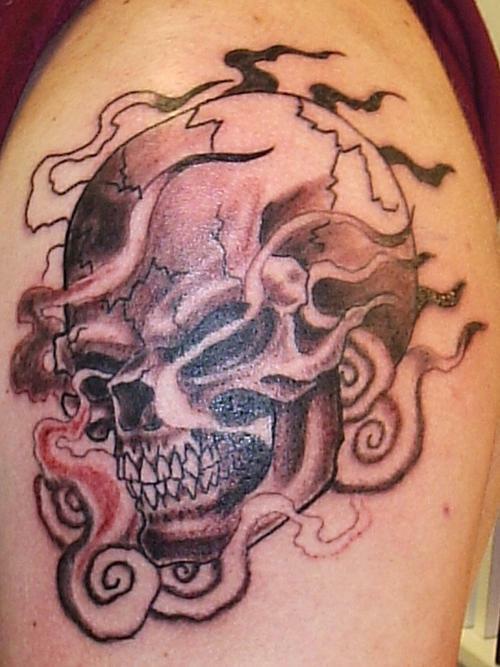 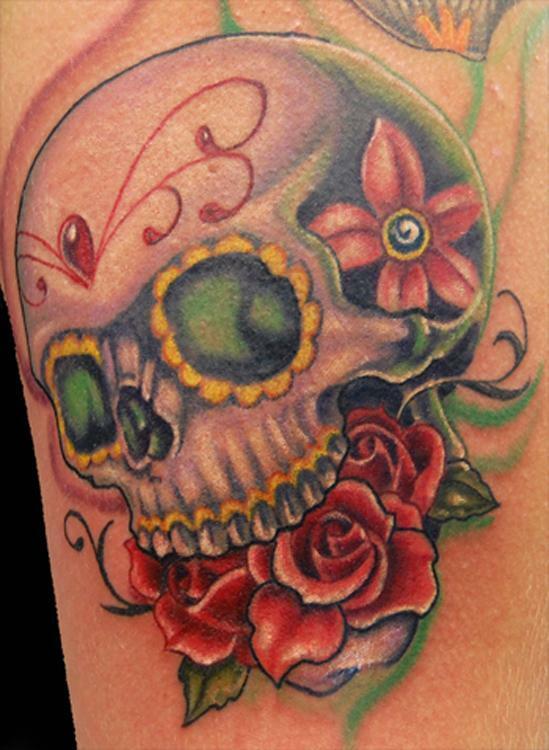 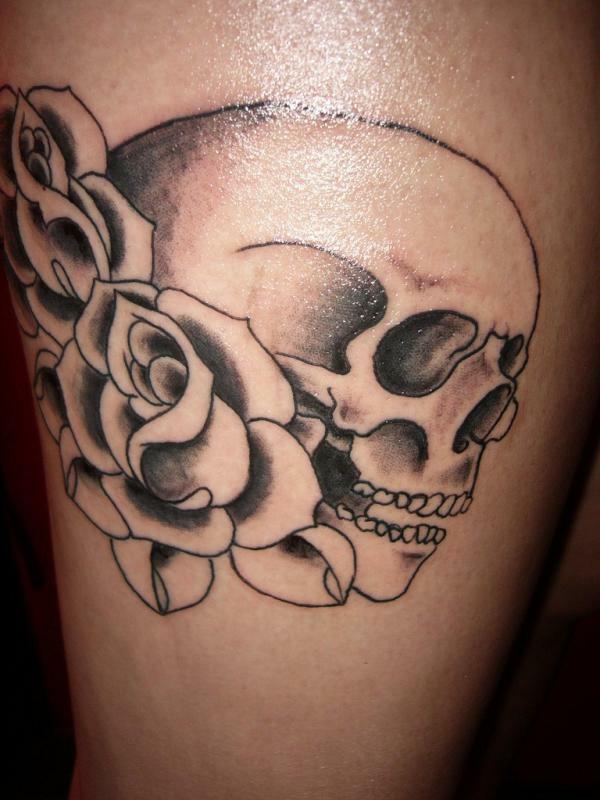 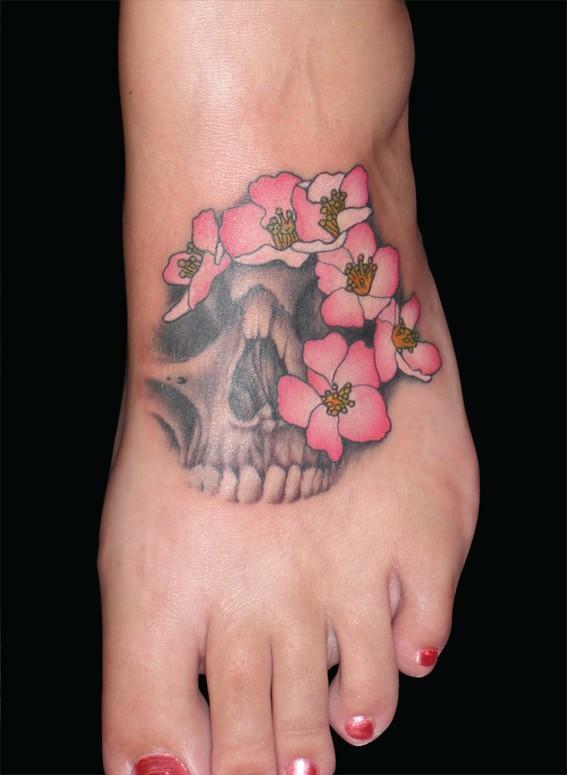 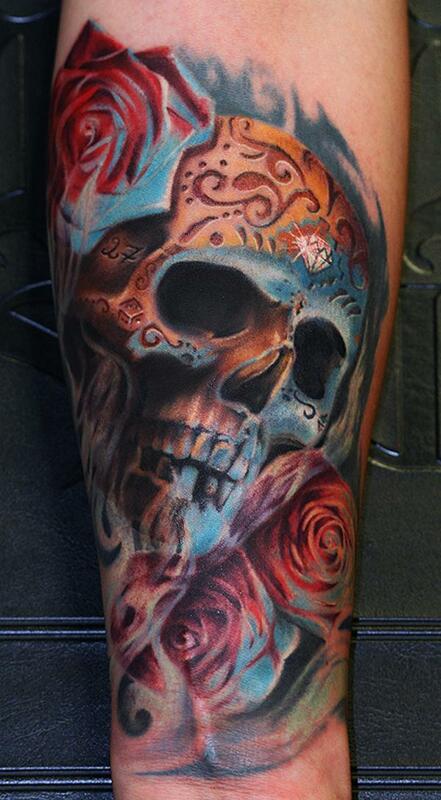 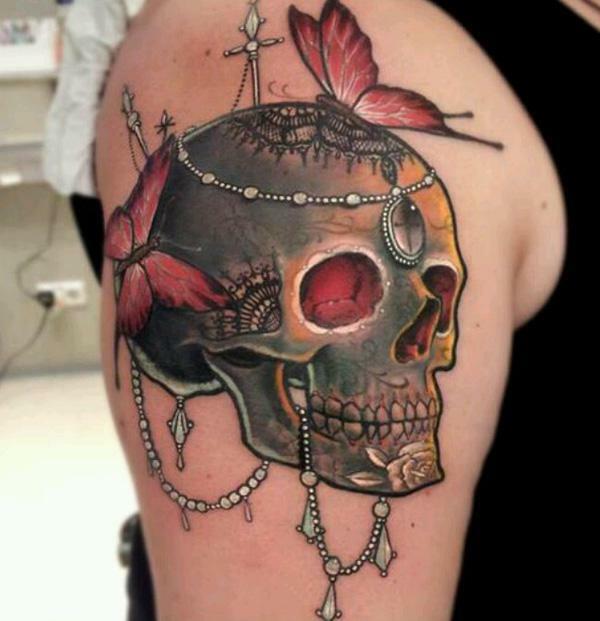 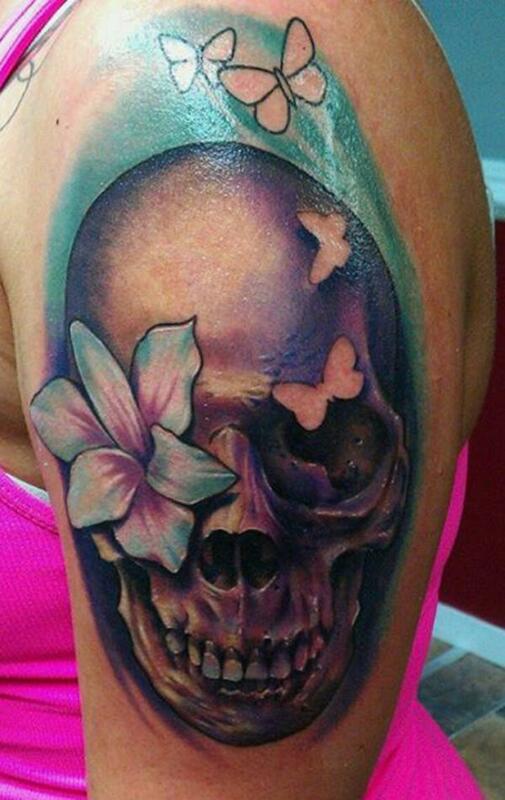 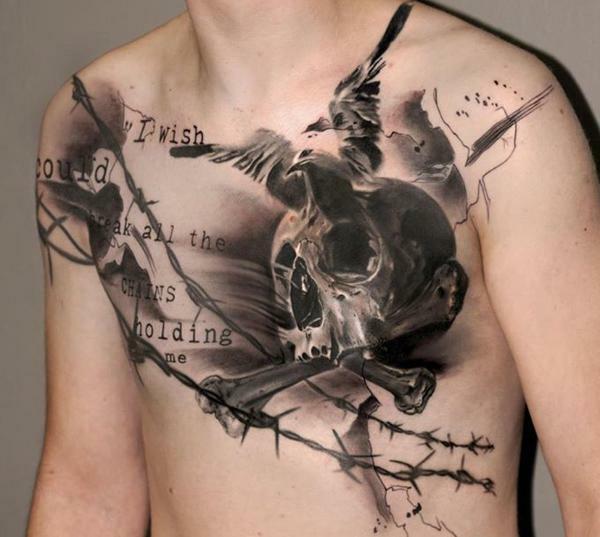 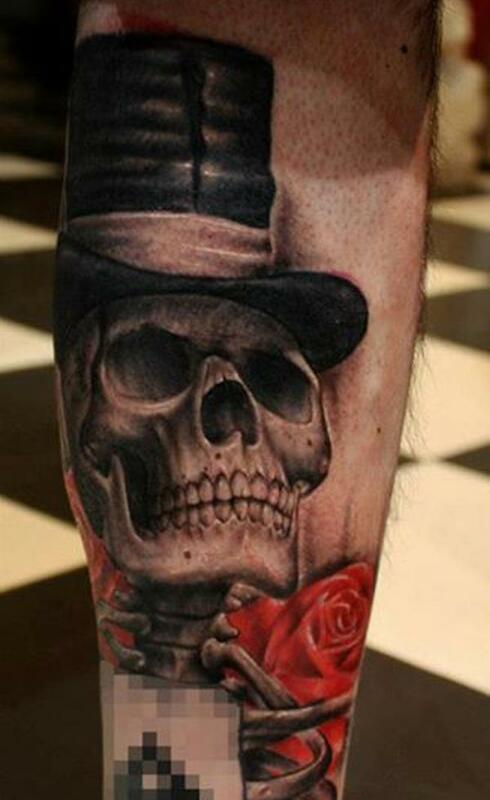 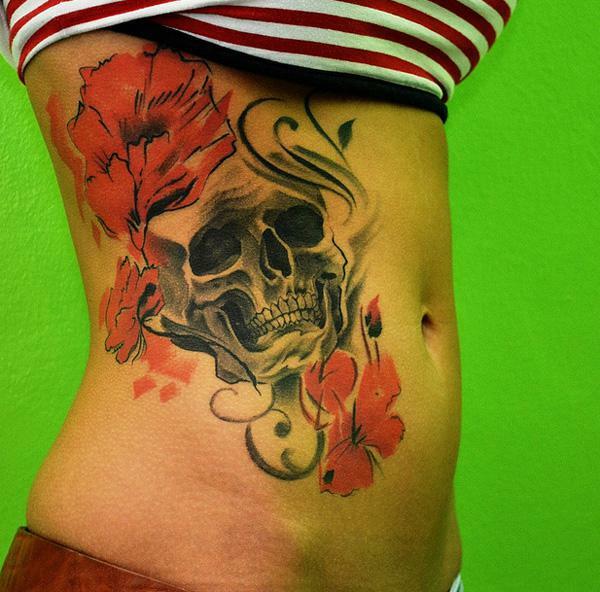 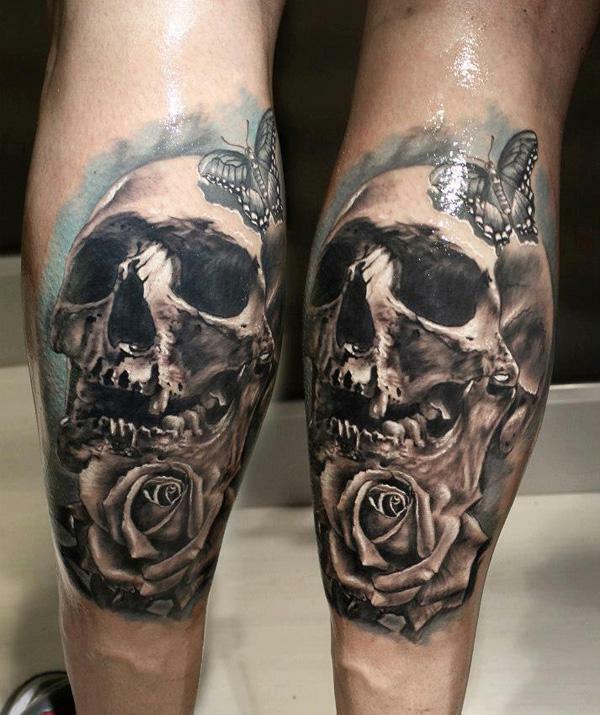 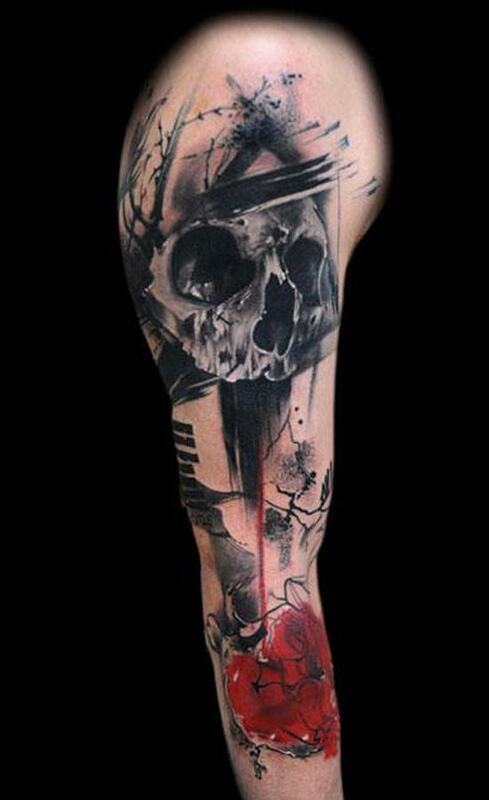 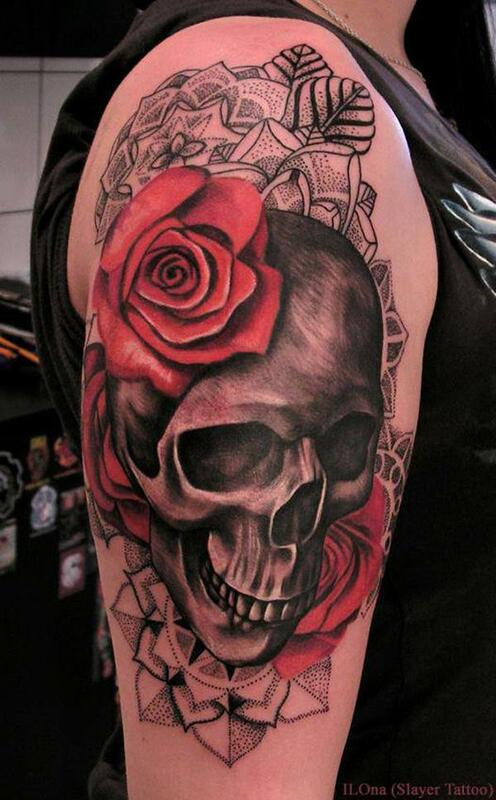 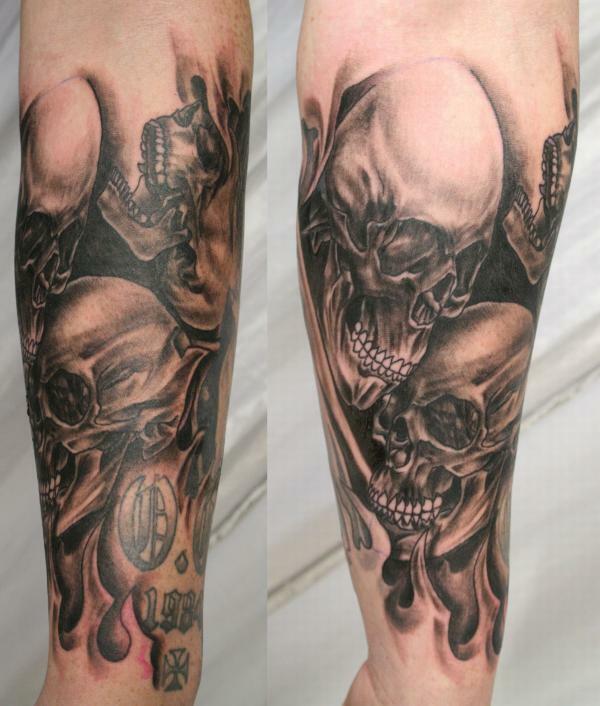 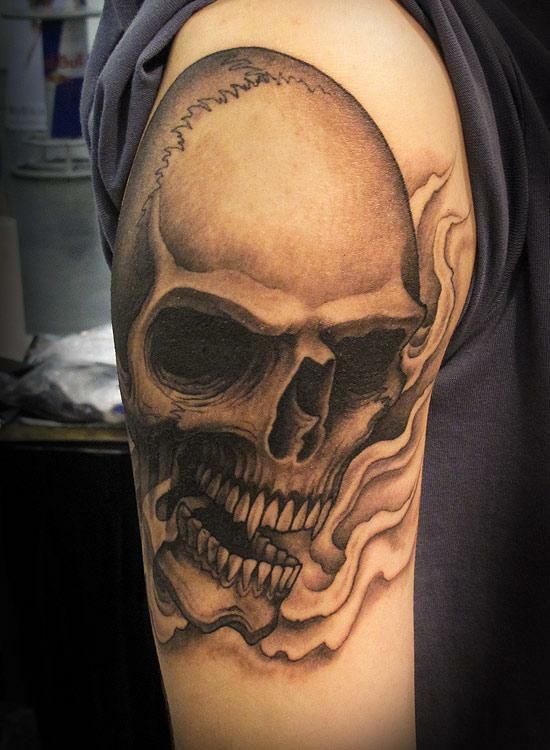 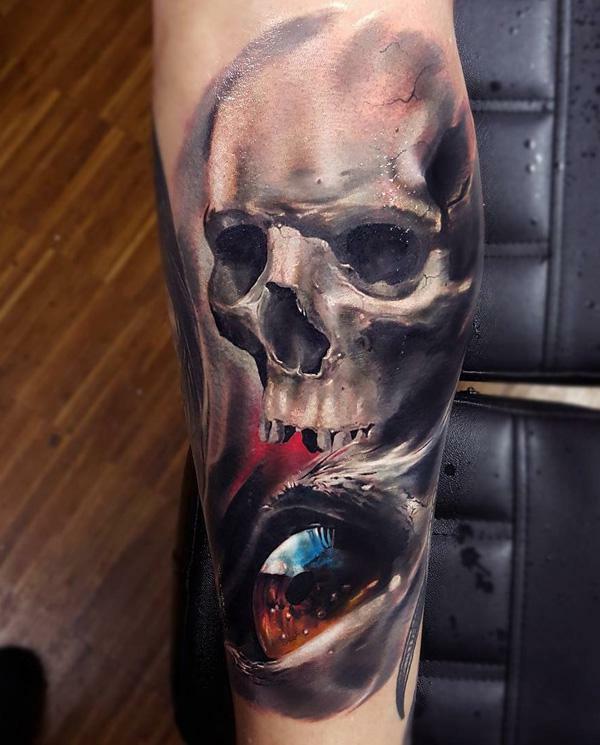 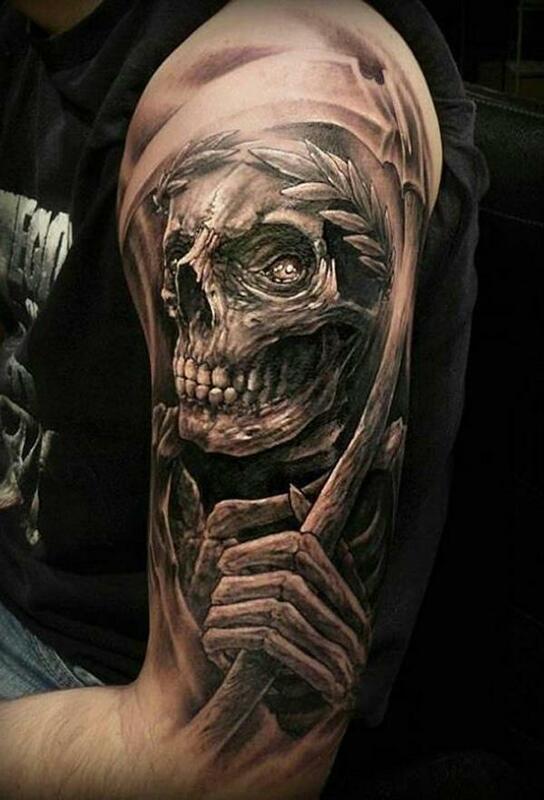 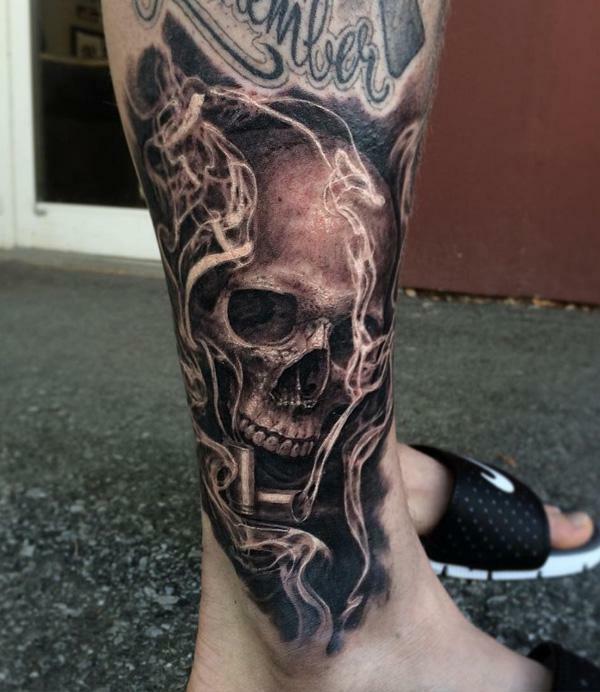 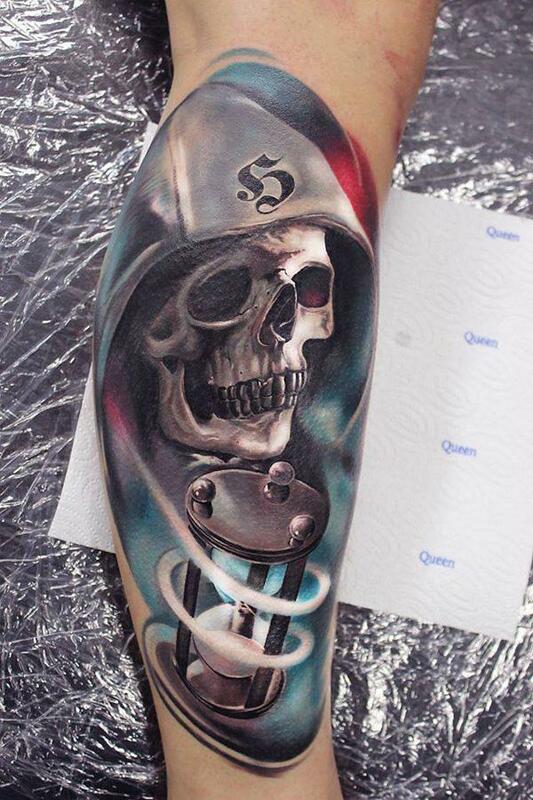 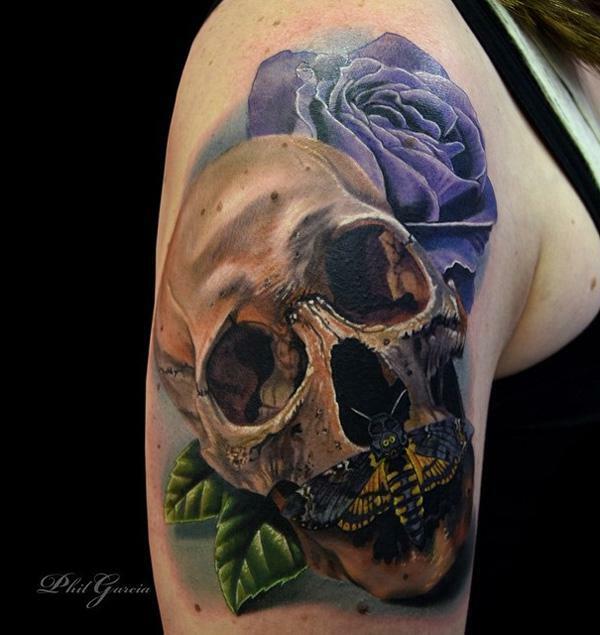 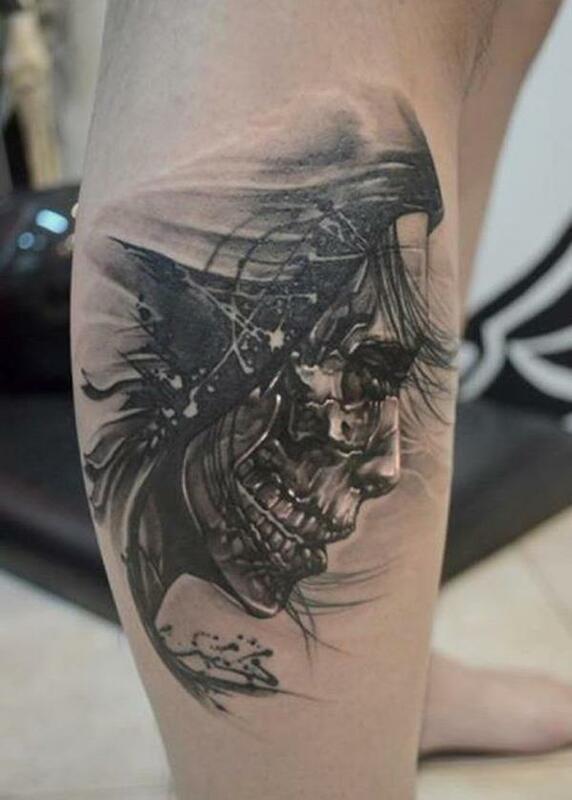 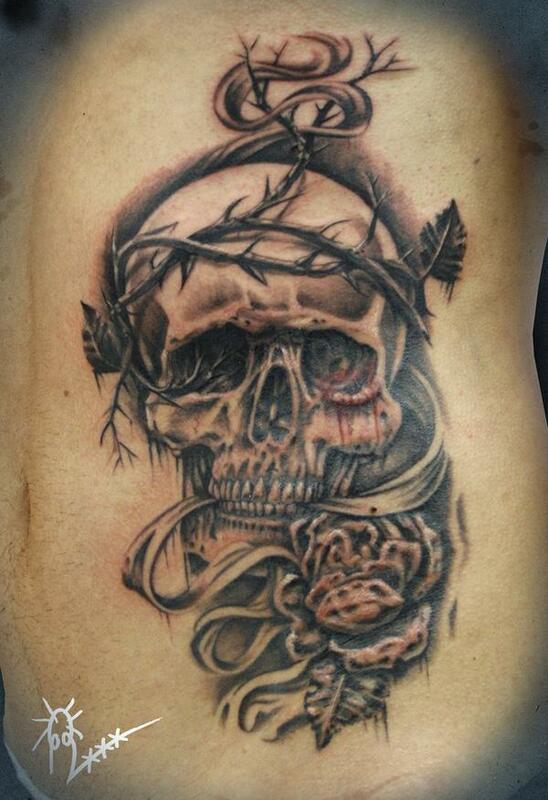 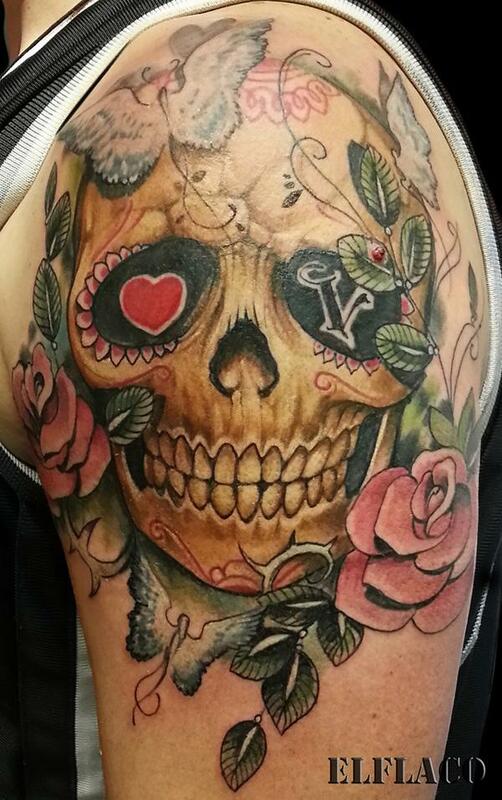 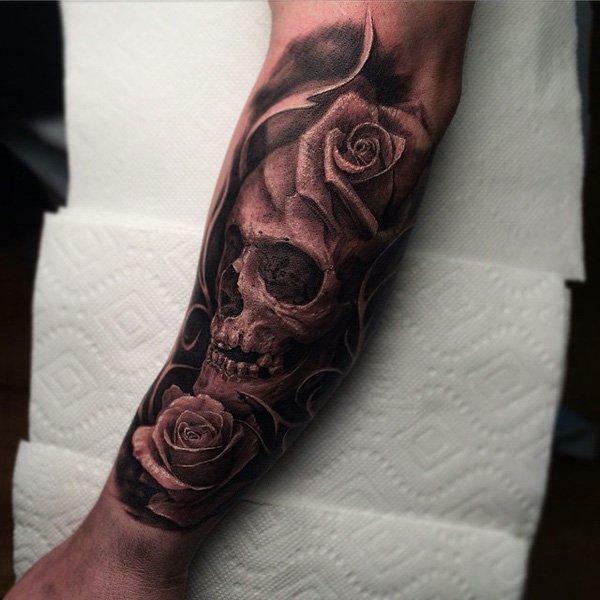 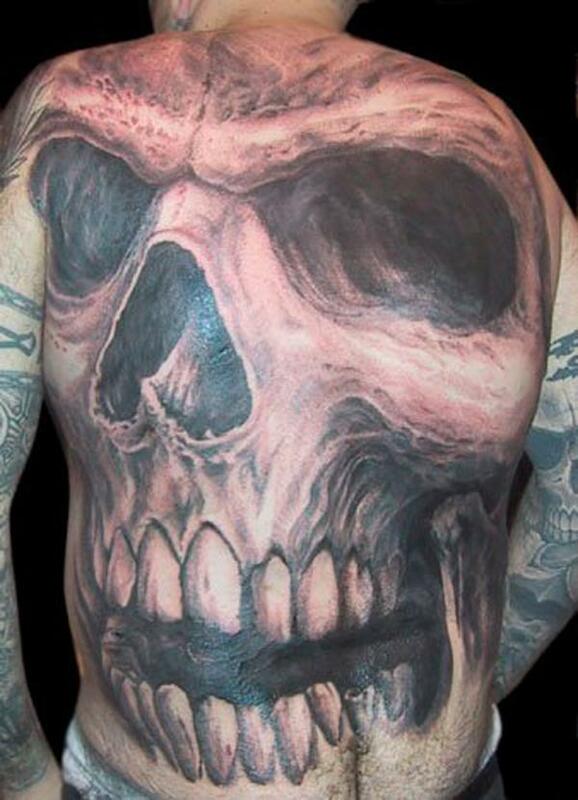 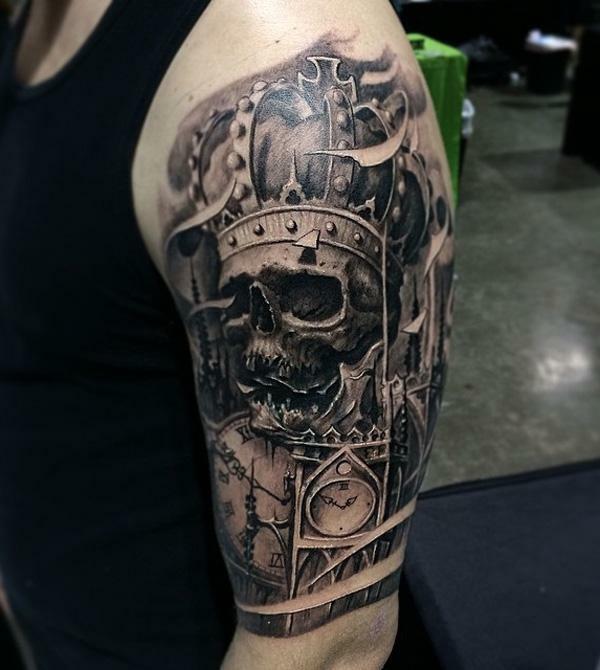 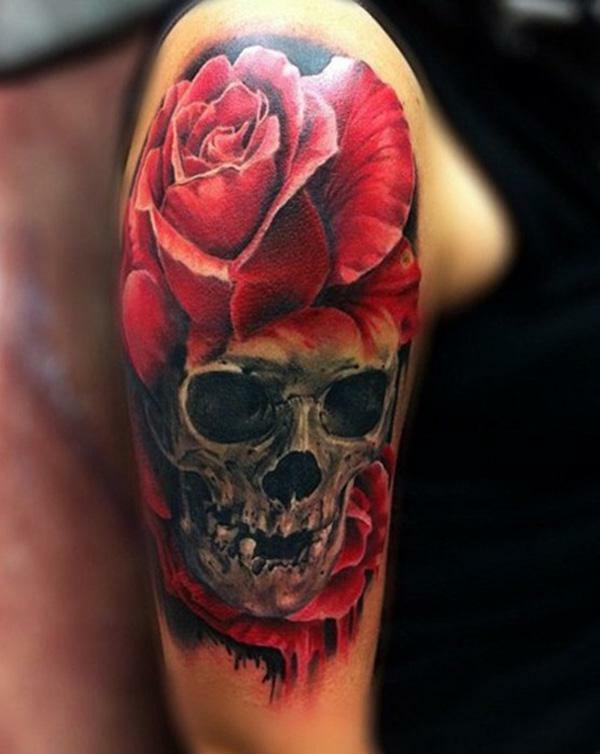 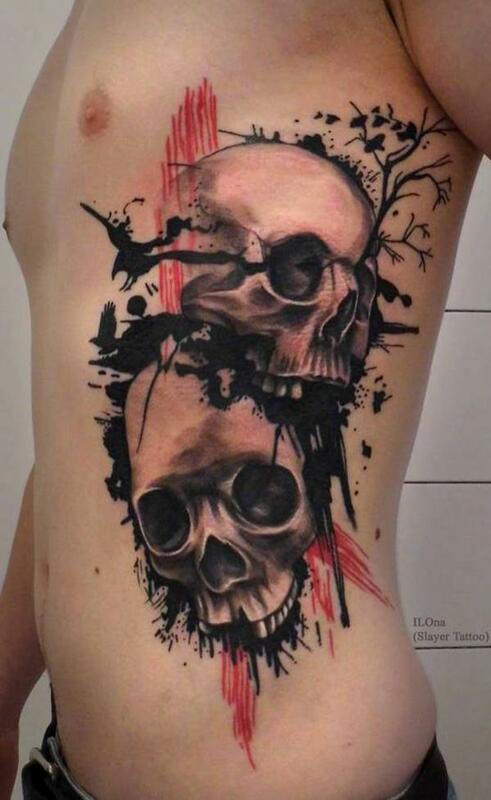 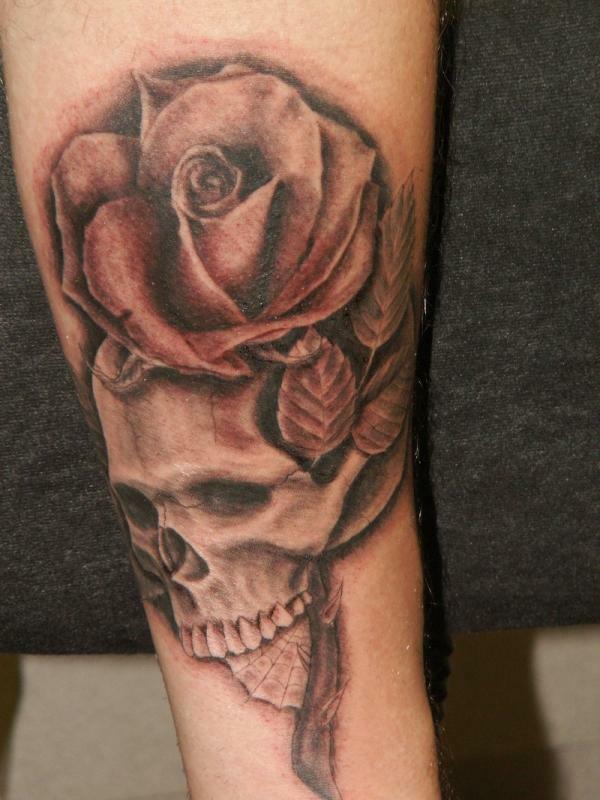 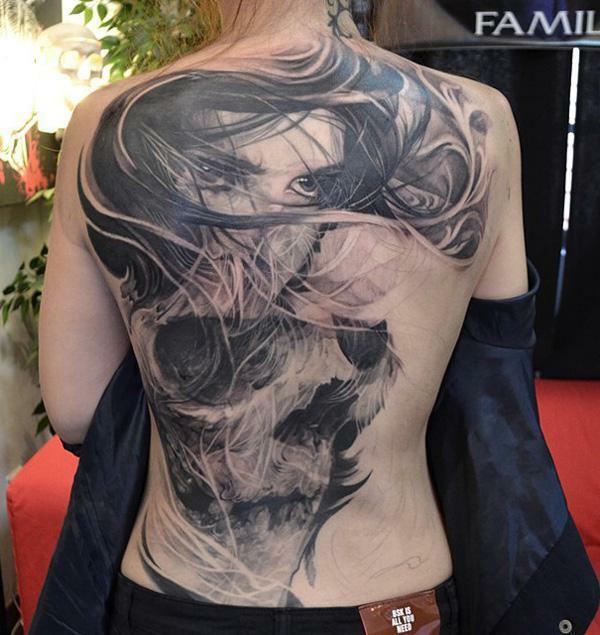 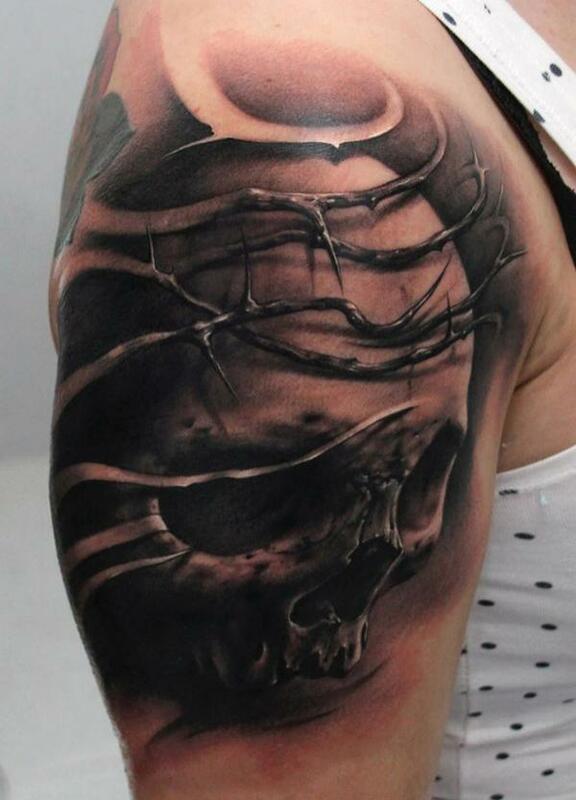 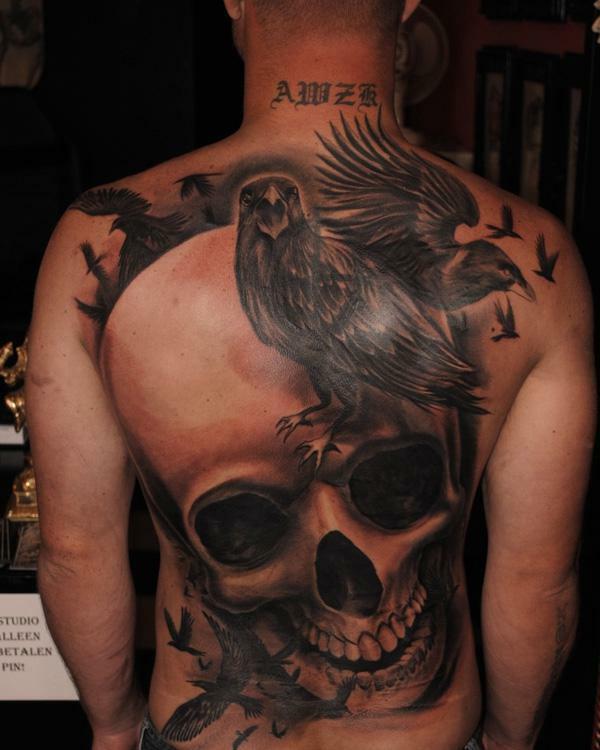 In this post I have extended the number of awesome skull tattoo designs from 20 to 60. 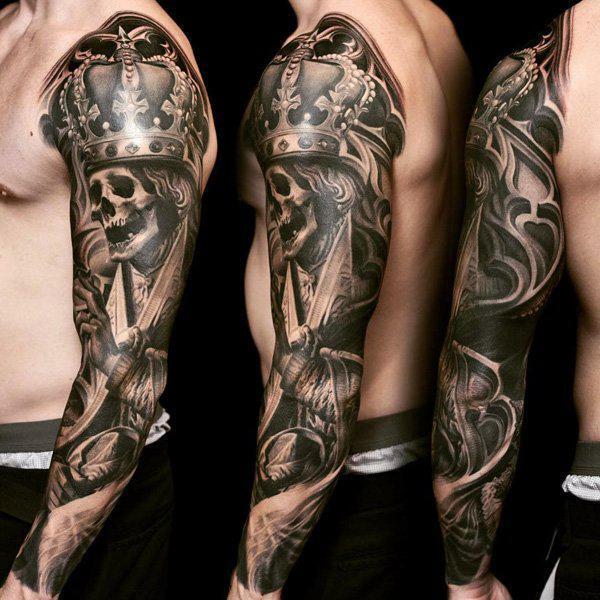 Let us any awesome one which you think should be on the list.n Just drop a link on the comment. 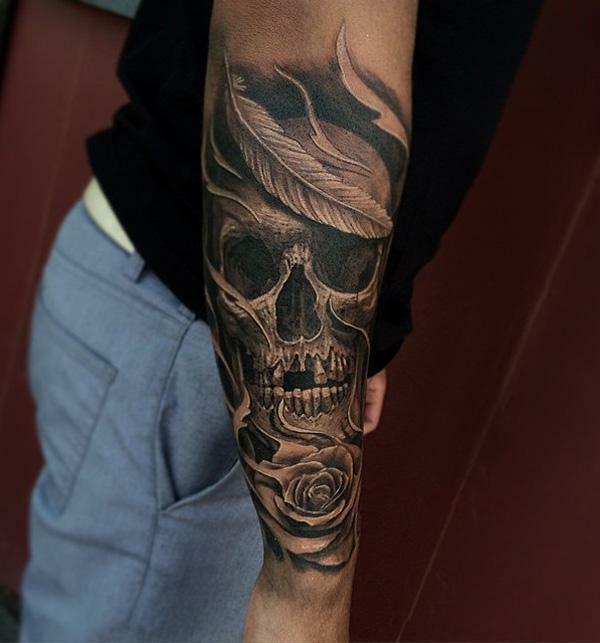 Im searching for a design to get on my arm (half sleeve) a praying hand with the rosary and a pigeon on top of it. 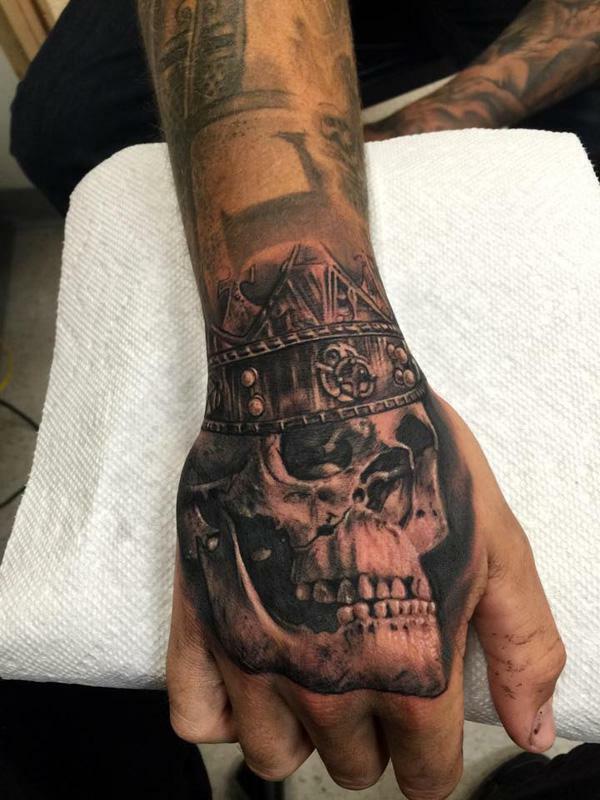 Actually a religious tattoo. 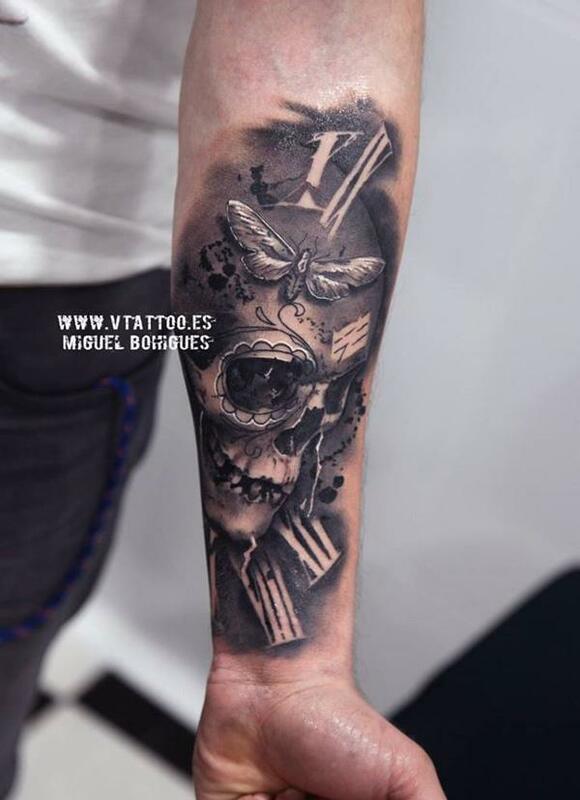 Can you help me on this? 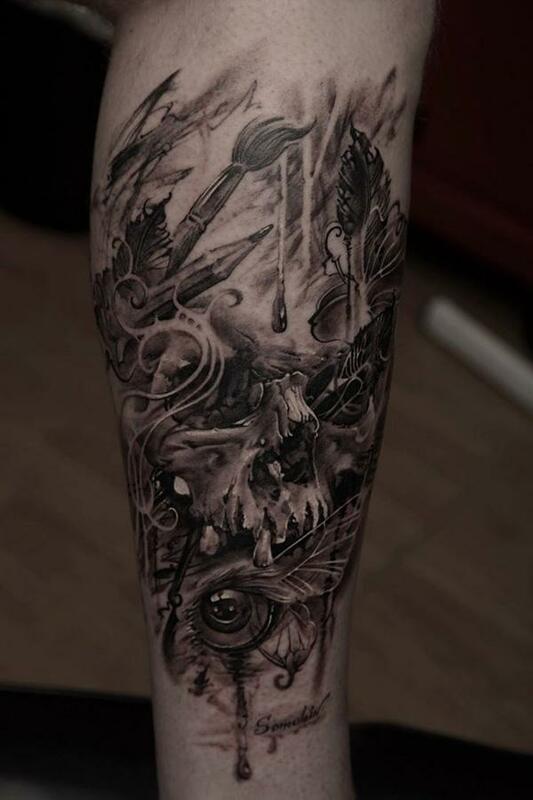 Please send me some designs. 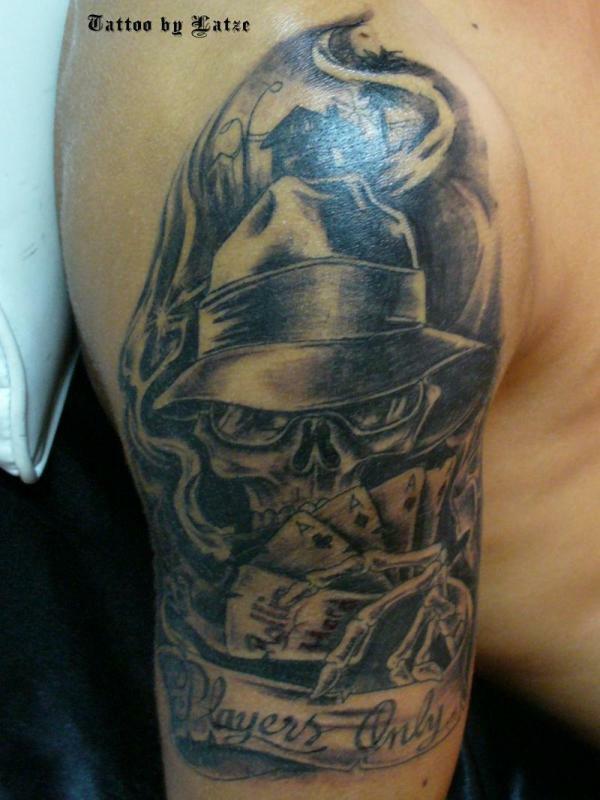 I have noticed a number of individuals carrying skulls as a garment symbolizing a gang in Australia. 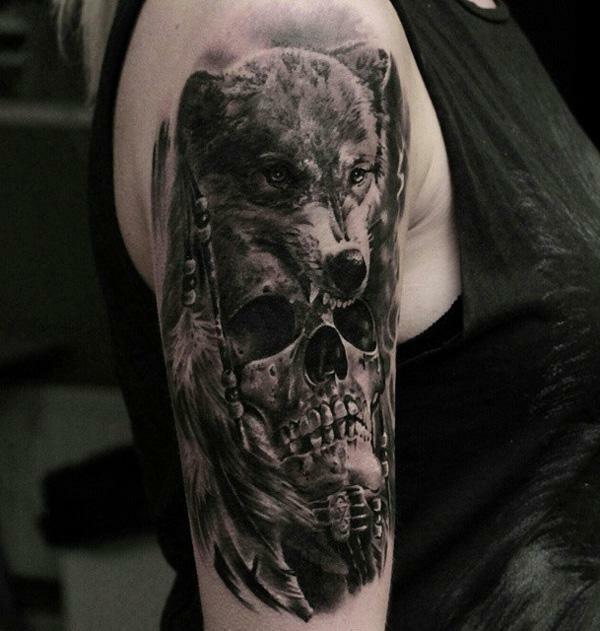 Some of them looks at you fiercely. 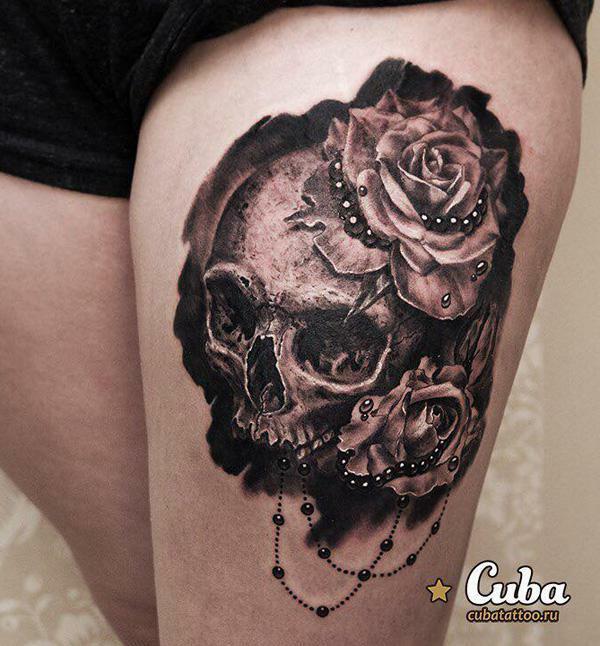 They often shows you authority in pubs and trains and wants to fight you.Most of the time hates African’s carrying dreadlocks with an outrageous body language towards humanity in terms of death.